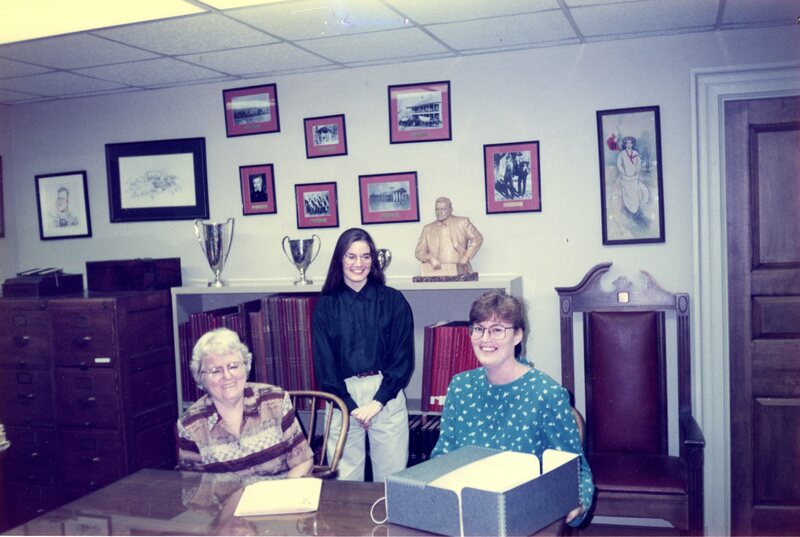 Jan sits at a table in the archives in 1994, with Loyce Davis and Barbara Butler. 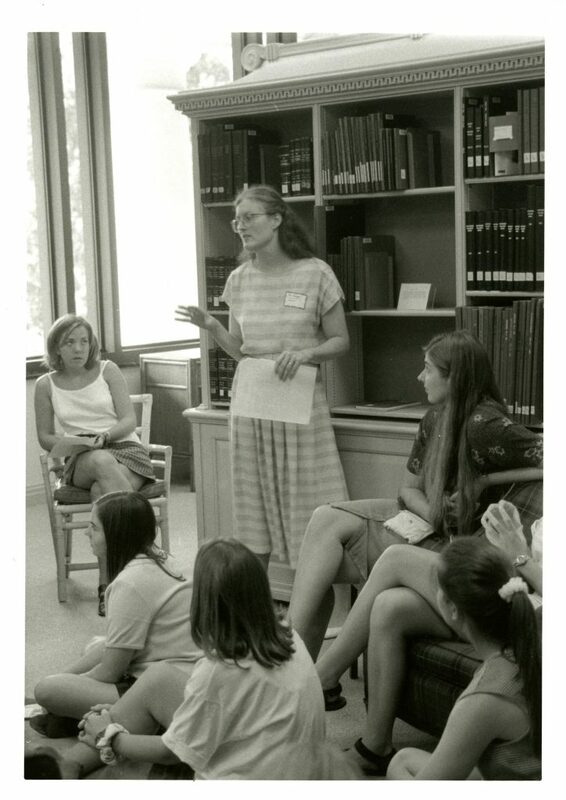 Jan leads a discussion on Davidson history in the Davidsoniana Room during Freshman Orientation in 1996. Jan’s introduction to the past and present of Davidson College has been a part of orientation for over 20 years. 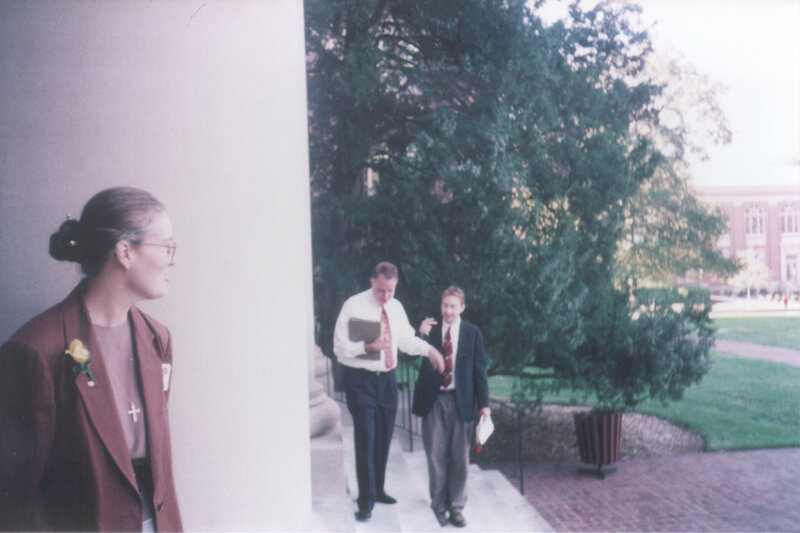 Jan stands by one of the columns of the Chambers Building in 1997, while then Library Director Leland Park chats with Josh Gaffga. 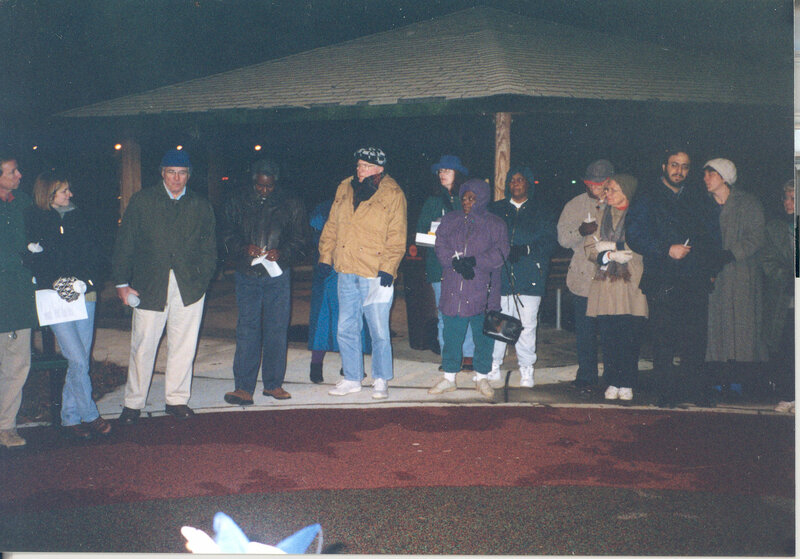 Members of Common Ground, including Jan, a local grassroots organization designed promote communication and understanding and improve relations among people of all races in Davidson, gather for a Christmas Day memorial service in 1998. 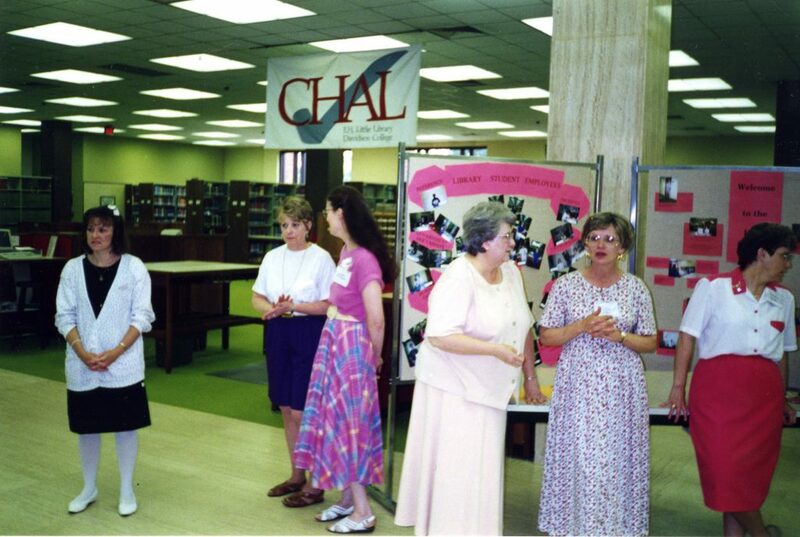 Library staff, including Jan (in the pink skirt and shirt), gather in the lobby of E.H. Little Library, circa 1998. 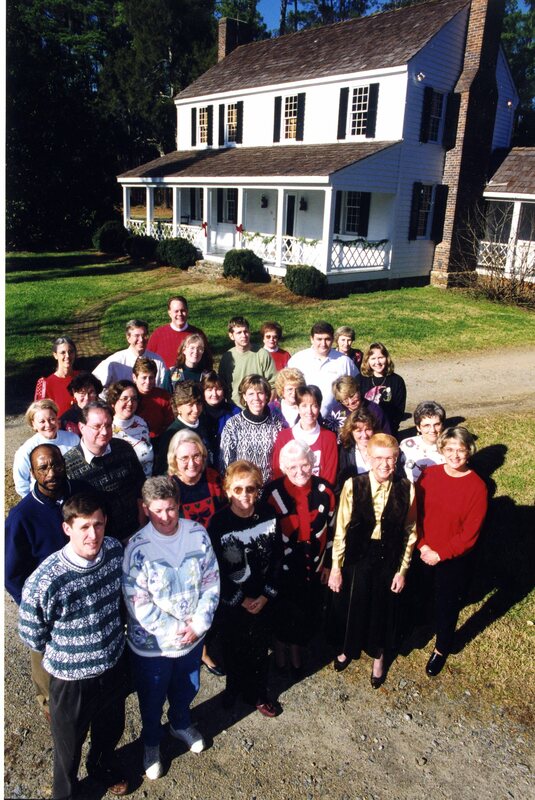 Library staff gather in front of Beaver Dam in 1999. Jan is towards the back of the group. 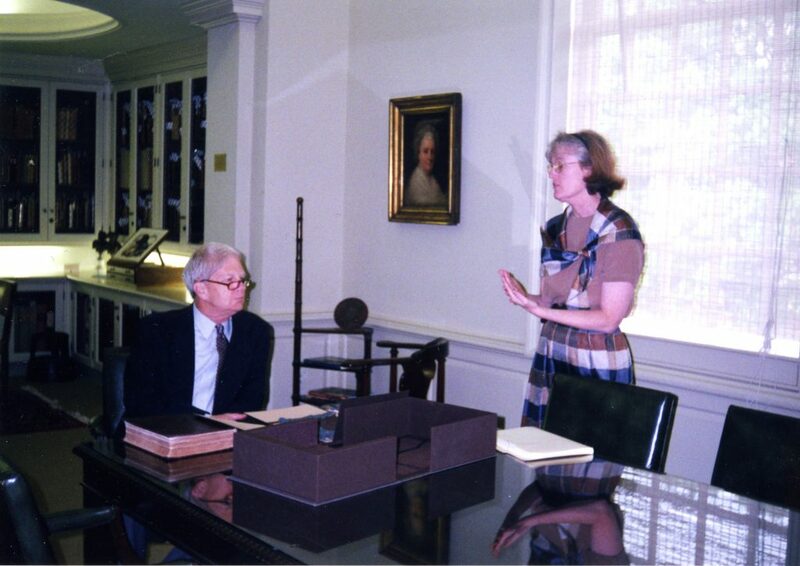 Jan chats with then Librarian of Congress, James H. Billington, in the Rare Book Room during his visit to campus in 2001. Billington is looking at the Arabic language Bible of Omar Ibn Sayyid, one of the highlights of our rare book collection. 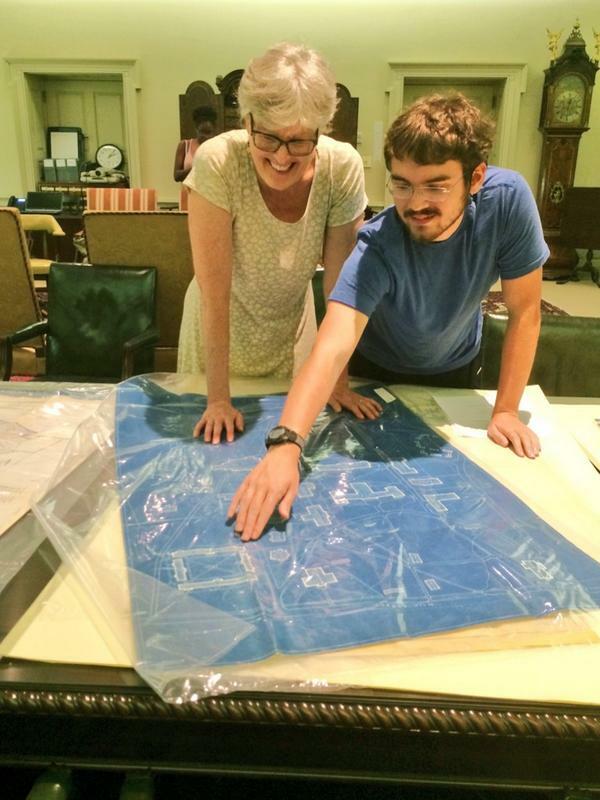 Jan works with a student on researching campus architecture, in the Rare Book Room in 2014. 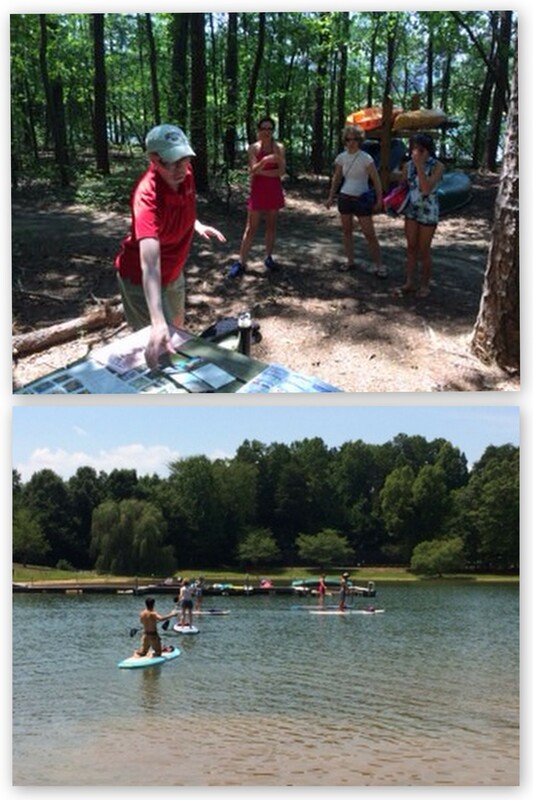 Jan led a paddleboard tour of the history of Lake Norman in July 2015, in partnership with Davidson Parks and Recreation. A full Archives & Special Collections staff #shelfie in 2015! From right to left: Caitlin Christian-Lamb (me! ), Sharon Byrd, and Jan Blodgett. 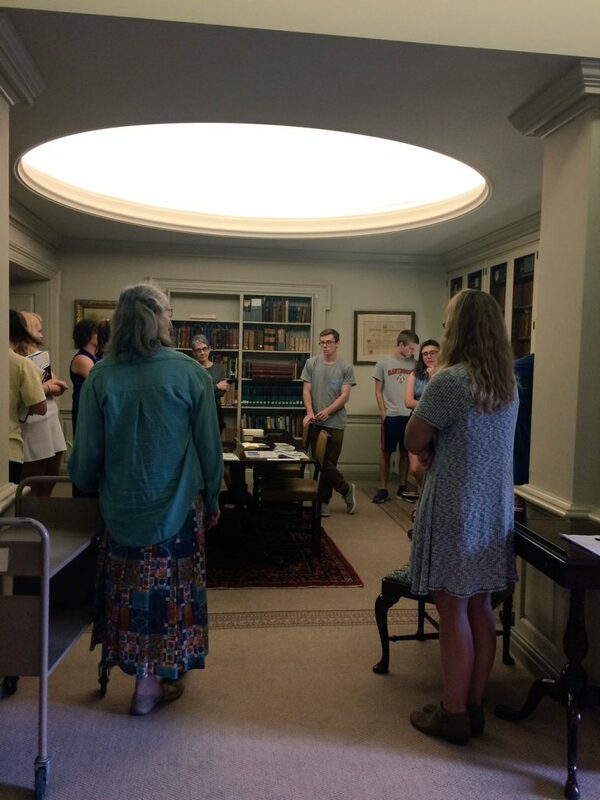 Jan (with her back to the camera) works with ENV 340 students in the Rare Book Room, in 2016. Hilton Kelly is photographed while photographing Jan (meta!) 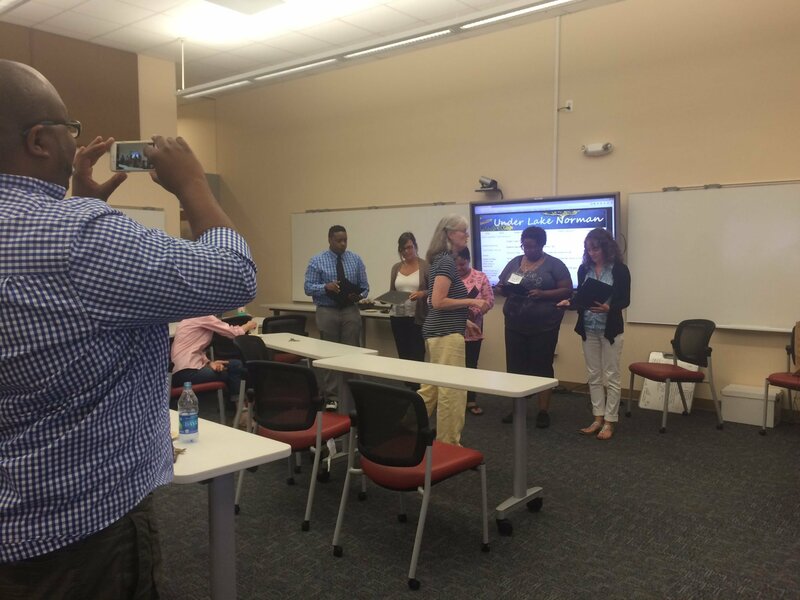 working with Charlotte Mecklenburg public school teachers on a workshop in summer 2016, aimed at integrating archival materials across secondary education. The teachers’ projects can be found here. 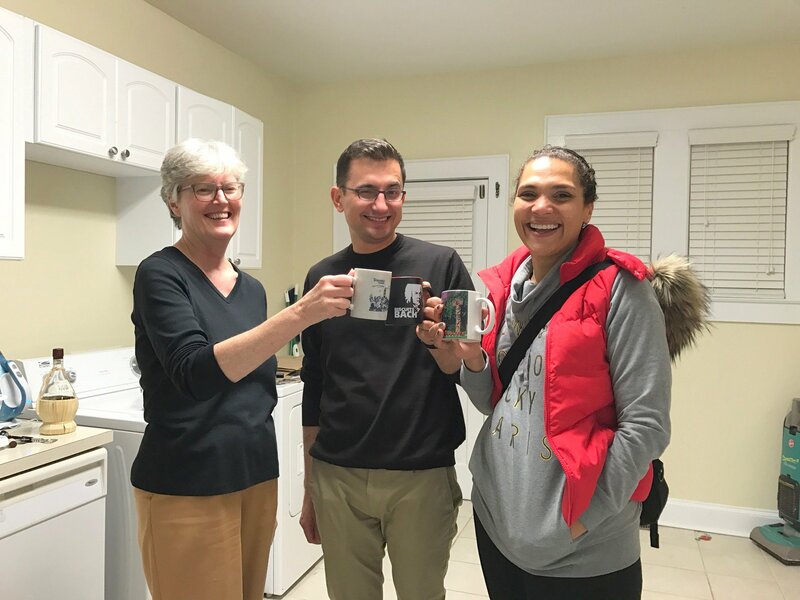 Jan enjoys archival glogg in December 2016 with Roman Utkin and Caroline Fache. Jan addresses the crowd at her final campus history tour in April 2017 (you can view the livestream of the tour here). Jan Blodgett was the first professionally trained archivist to work at Davidson College, and her work building and organizing collections, as well as fostering community and curricular connections is fundamental to the Archives & Special Collections current and future work. We will always be grateful to Jan for her tireless, generous, and energetic work – please join us in wishing Jan a fond farewell and a happy retirement! You just began working at Davidson a few weeks ago – can you talk about your background in archival work and where you’ve worked before? I was fortunate to attend the University of British Columbia in Vancouver, Canada and gained a solid foundation in archival theory and practice while living (and playing) in one of the most beautiful and captivating cities in the world. I have worked at two other private liberal arts colleges, Furman University and the University of the South, affectionately known as Sewanee. What appealed to you most about the College Archivist & Records Management Coordinator position? The quality of the established program that includes both the archival records for the College and Records Management. I was already familiar with the work of the current archivist, Jan Blodgett, and when I visited campus, I was impressed with the expertise and talents of the other members of the department as well as the staff of the Little Library. There were several students involved in my interview process and they, too, were exceptional, demonstrating a keen interest in the work of the department and asking insightful questions. Beginning a new job can be a bit of a whirlwind, but do you have any favorite moments so far? There are so many. Each day I learn something new and receive warm and welcoming greetings from people all around campus. In the E.H. Little Library, one of the greetings was a musical serenade performed by members of the staff (including an original song!). 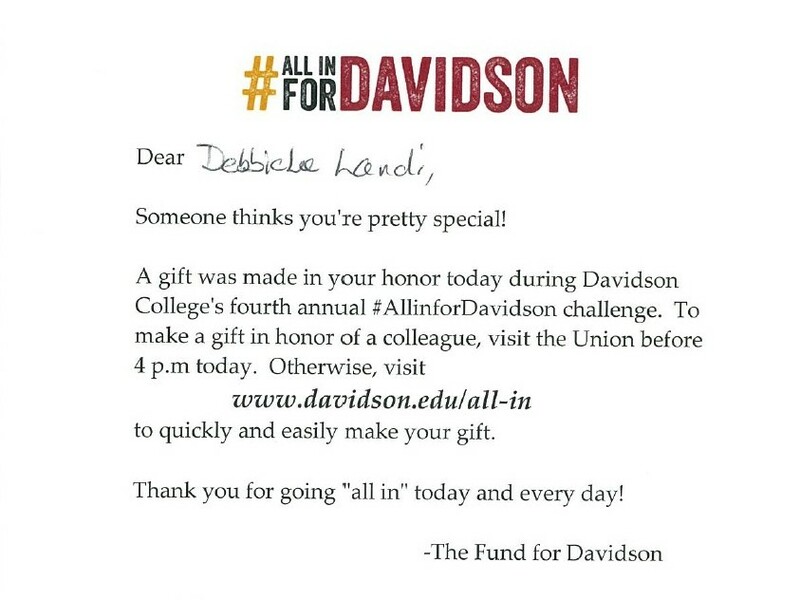 Another very unexpected welcome was an anonymous donation in my honor to support the #allinforDavidson campaign. The #AllinforDavidson campaign donation card that DebbieLee received. What has surprised you about the college or the area? The number of smiling, friendly faces and the beauty of the campus. Are there any new initiatives or ideas that you’re hoping to implement here? Augmenting the impressive work of the department with the integration of Archives & Special Collections resources in the curricula and expanding those initiatives to include programs such as Study Abroad and Service Odyssey. Involving students as field agents and inviting guest curators to increase the involvement of the college community in building the archival record. Exploring the possibilities of a digital badging initiative and archival records as Open Education Resources … to share just a few ideas. 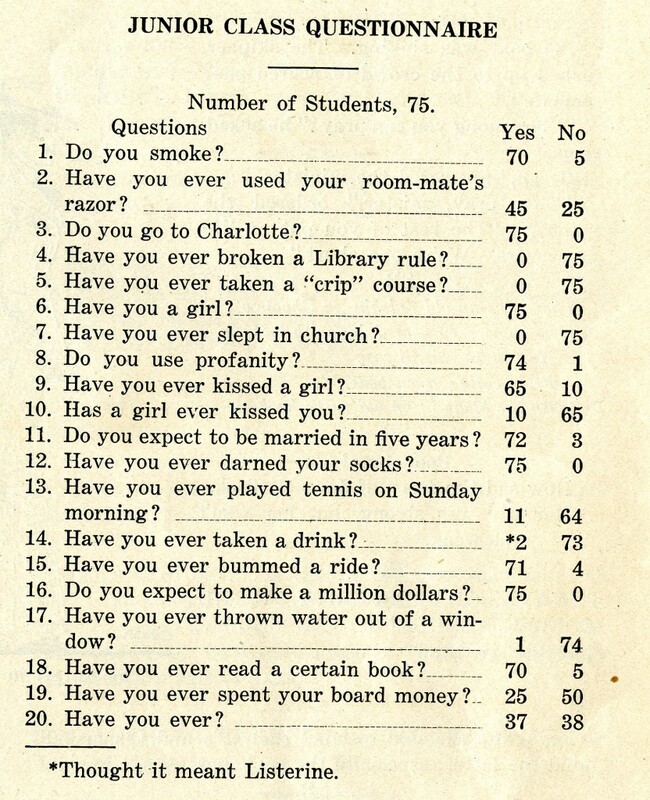 What are your hobbies when you’re not in the archives? Trying new recipes and new restaurants and incorporating chocolate whenever possible! Keeping up with Moxy, my canine companion, and the latest travels of Dr. Who. Hiking and visiting state, national and provincial parks in search of waterfalls and secluded beaches. Bill Giduz’s association with Davidson began in 1970 when he enrolled as a freshman. Nine years later he attended his fifth reunion, learned of an opening in the communications department, and has now worked gratefully in that office for 34 years. He commutes on two wheels, juggles on Sunday afternoons and regularly plays basketball with much quicker young men. 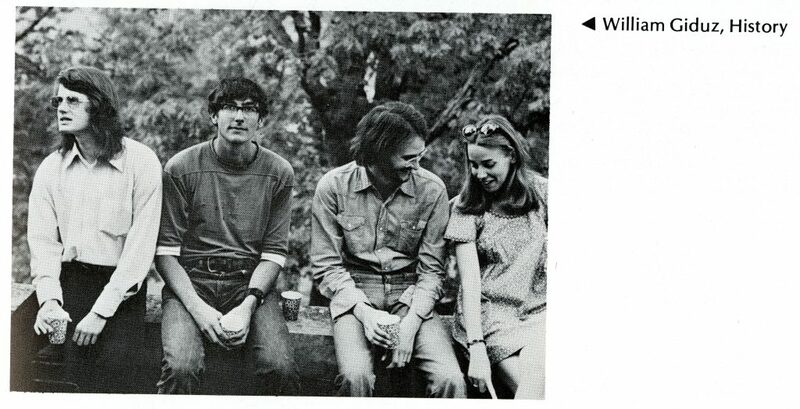 The first image of Bill Giduz comes from the 1970 Wildcat Handbook, the freshman handbook at Davidson. 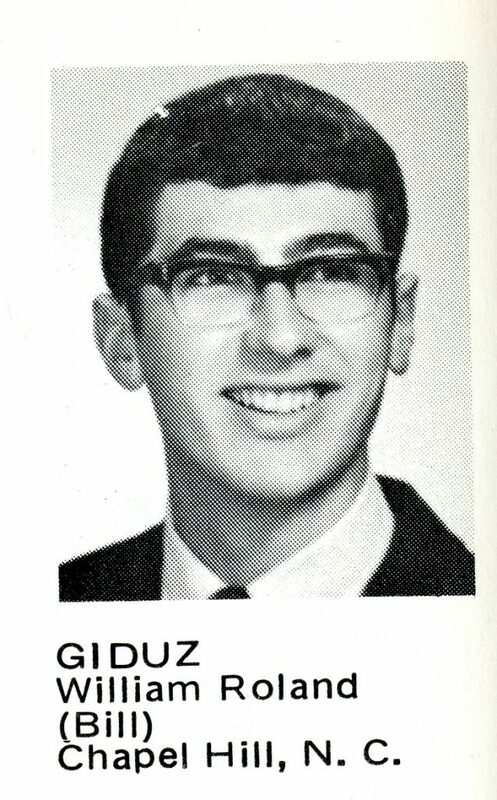 Just two years later, this is Bill as a sophmore in 1972 – one of the advantages (or disadvantages) of retiring from your alma mater is that there many pictures in the archives to draw upon. 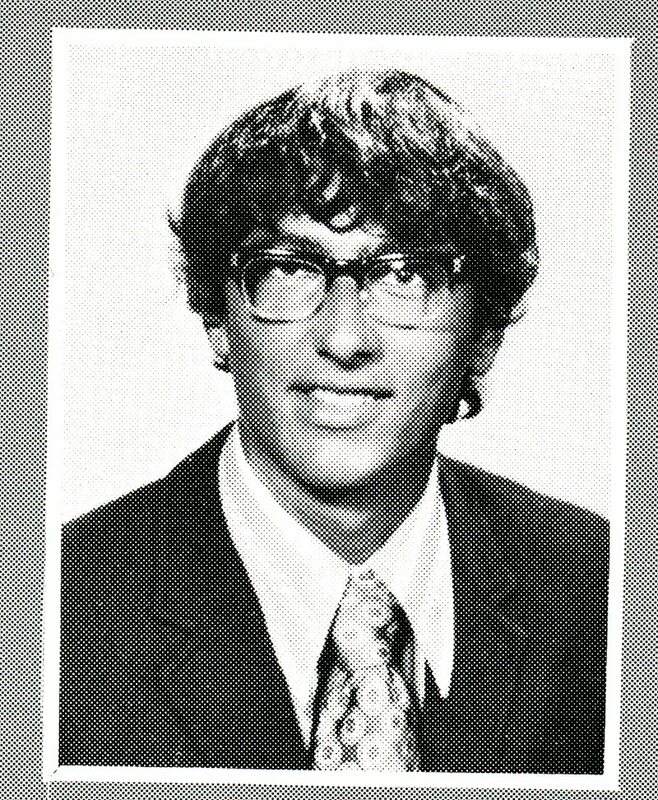 Bill’s senior photo, in the 1974 Quips and Cranks. Ten year alumni reunion for the Class of 1974, April 1984. Bill is on the far right. 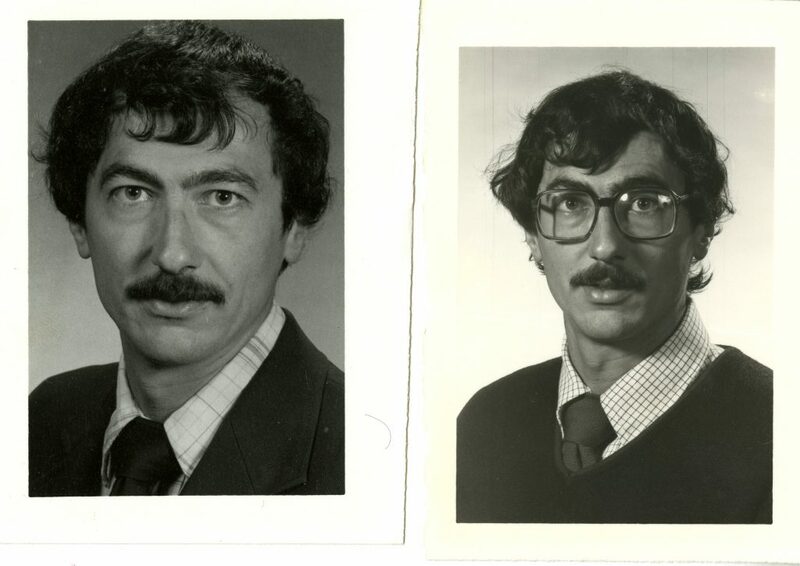 Two images of Bill Giduz from the college’s personnel directory, 1983 – 1990. 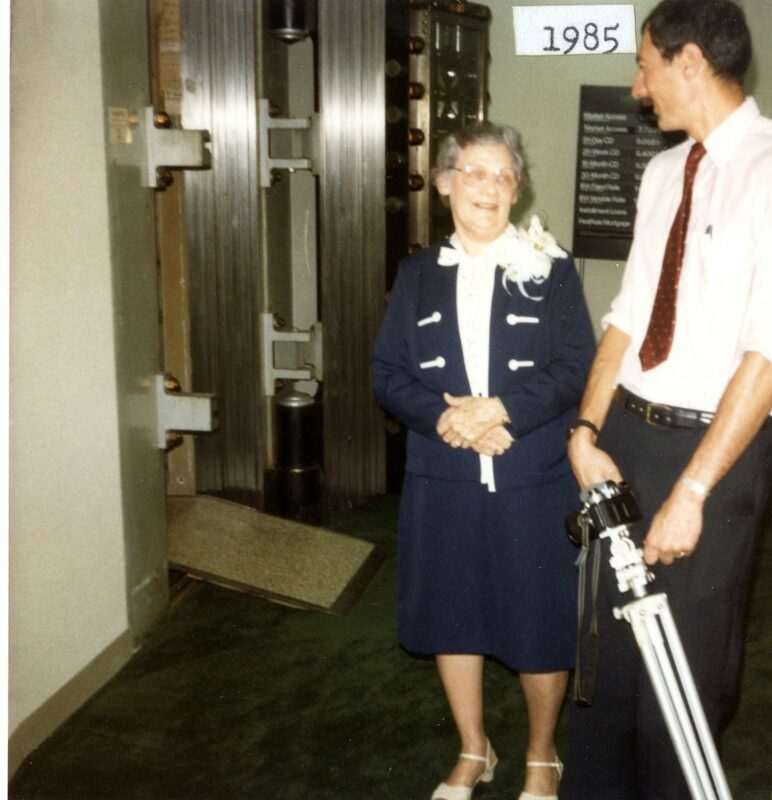 Bill with Eugenia Deaton, then Vice President of First Union National Bank in Davidson, on the occasion of her birthday and retirement in 1985. 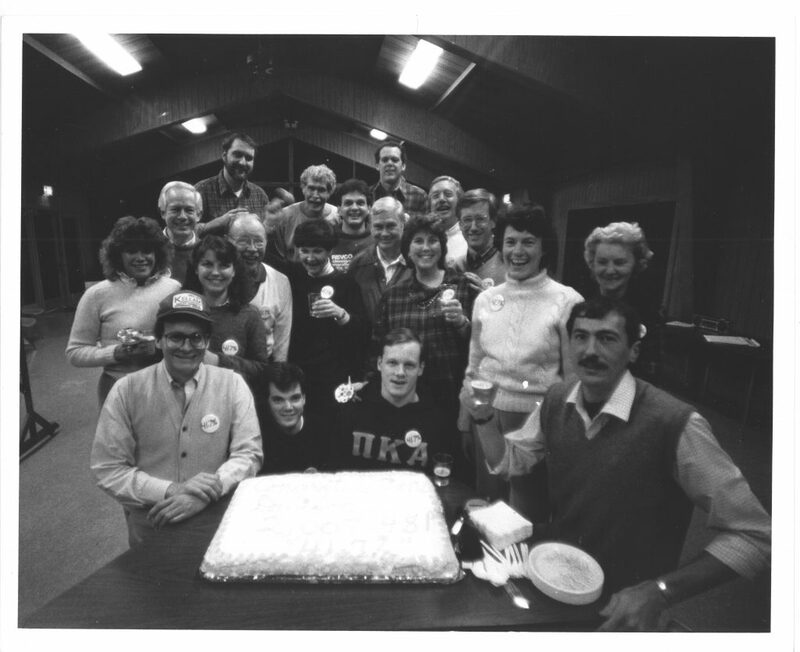 Rusk Scholars in 1986, pictured with their host families, including Bill and Ellen Giduz. Ellen is currently the manager of the Davidson and Cornelius branches of the Charlotte Mecklenburg Library, and previously worked at Davidson College as a librarian, visiting lecturer, and adjunct professor. Davidson employees gather around a cake with icing spelling out “Congratulations Davidson, 2,007,481, 41.7%” at a Development retreat in 1986. Bill is seated far right, next to the cake. 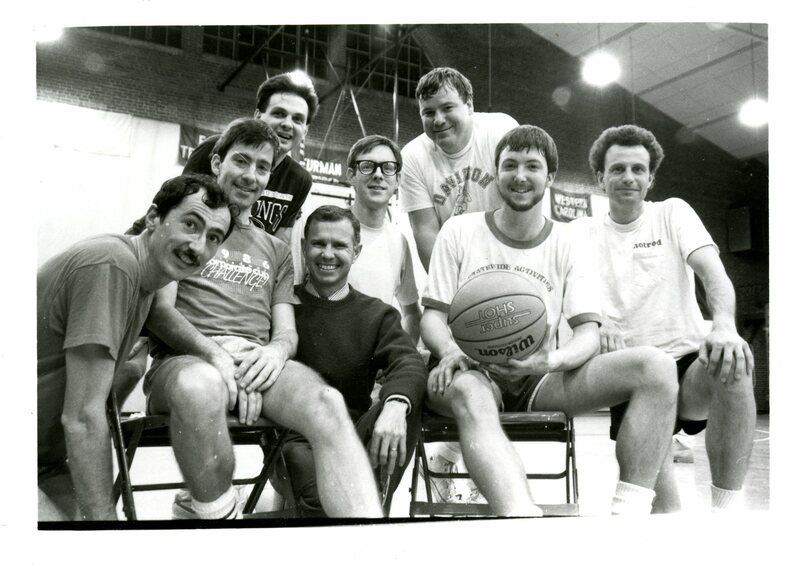 The faculty/staff intramural basketball team in 1987. Bill is on the far left. 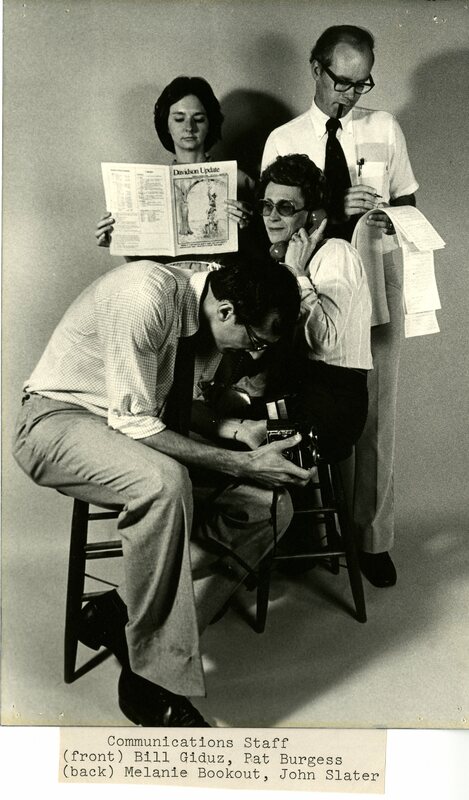 Undated (circa early 1980s) image of College Communications staff. Bill Giduz is in the front, and Melanie Bookout, John Slater, and Pat Burgess are in the back. 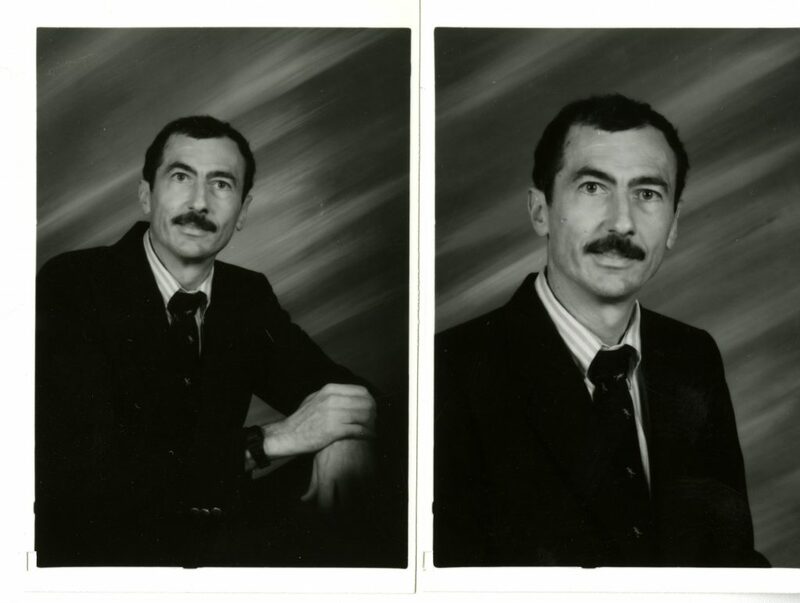 Personnel directory photographs of Bill, 1990 – 1996. A handwritten note on the back of these photos reads “Zoro!” [sic], likely a reference to the 1950s TV series. 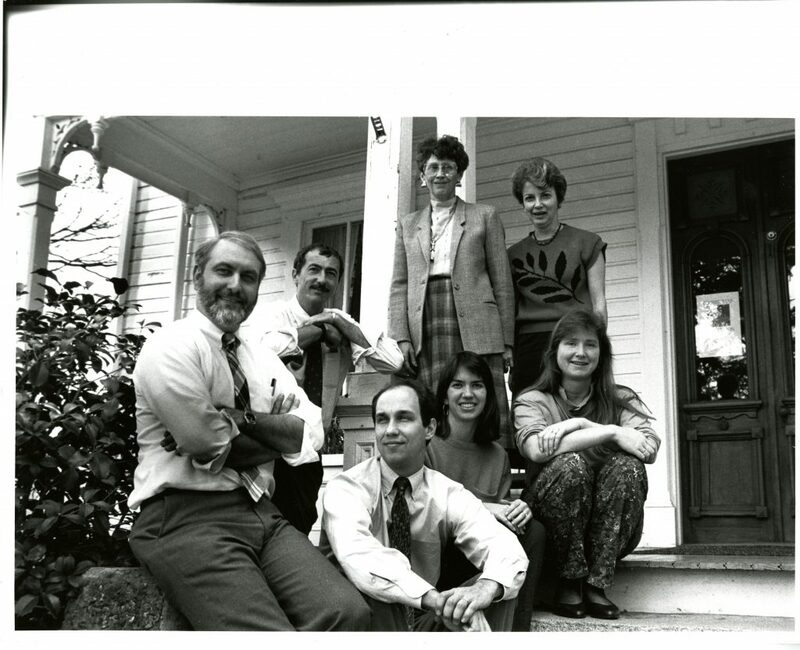 College Communications staff in front of the Copeland House in 1990. From left to right: Jerry Stockdale, Bill Giduz, Pat Burgess, Barbara Mayer, Amy Burkesmith, Michele Miller, and Mike Van Hecke. 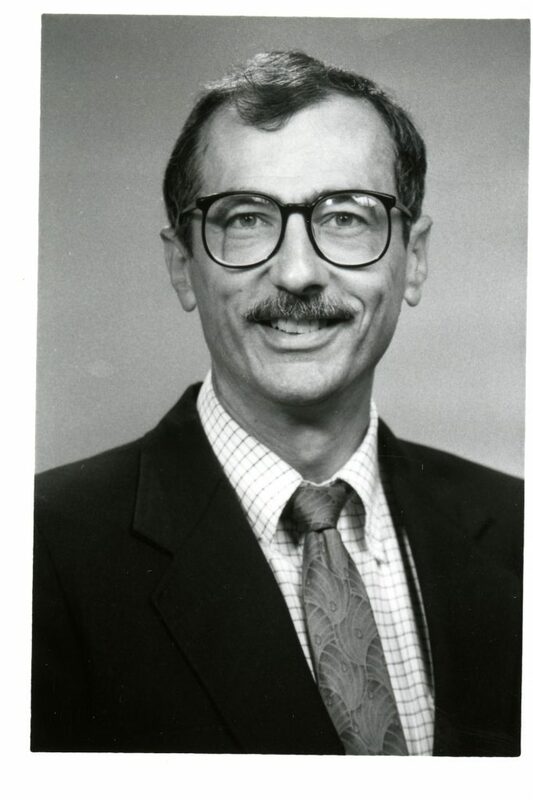 The most recent personnel directory photograph of Bill Giduz that we have in the archives is this one from 1996 – 1999. 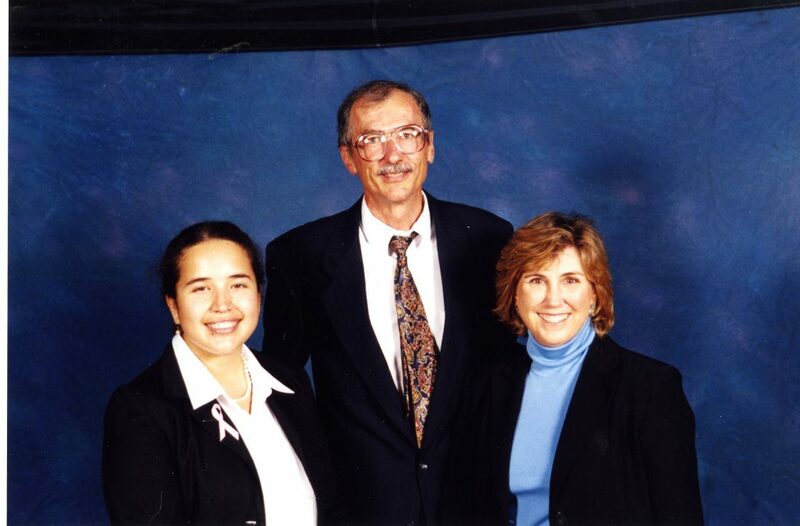 Bill Giduz and Meg Kimmel stand with a student at the Belk Scholarship Awards Ceremony in 2000. Bill Giduz has been a valued member of the staff of Davidson College for 37 years, and will continue to be a important part of the Davidson community – happy retirement, Bill! 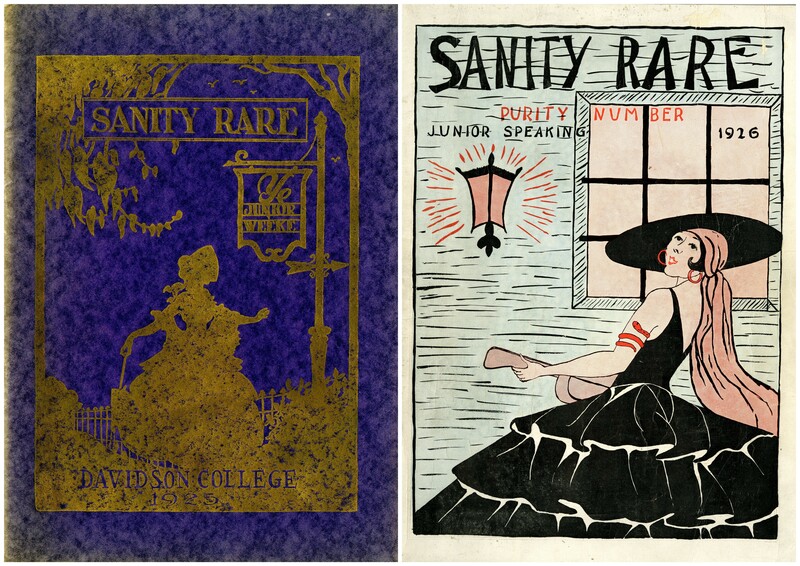 Earlier this semester, a number of archives and special collections created coloring books featuring images from their collections, inspired by the New York Academy of Medicine and the Biodiversity Heritage Library’s #ColorOurCollections coloring fest. At the Davidson College Archives & Special Collections, we noticed the amazing coloring books on Twitter but hadn’t had time to put one together ourselves. However, when we received a copy of Wake Forest University’s Z. Smith Reynolds Library coloring book in the mail (courtesy of Chelcie Rowell – thanks Chelcie! 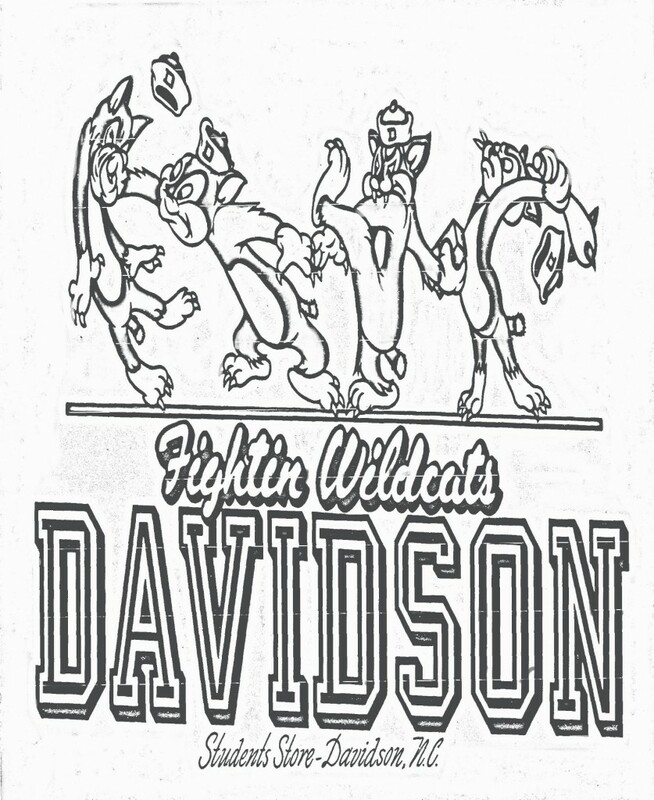 ), our student volunteer was intrigued and asked if she could work on a Davidson version. Regular readers of Around the D will have already seen some of Caroline Turner’s (Class of 2017) work – the athletics timeline Caroline created was the subject of a recent blog post. Caroline has been volunteering in Archives & Special Collections since last September. Once she had completed the athletics timeline, Caroline combed through rare book and college publications, looking for images that could be decolorized and turned into candidates for the coloring book. She then wrote blurbs to go along with each image, explaining what it was and what part of the collection it hailed from. 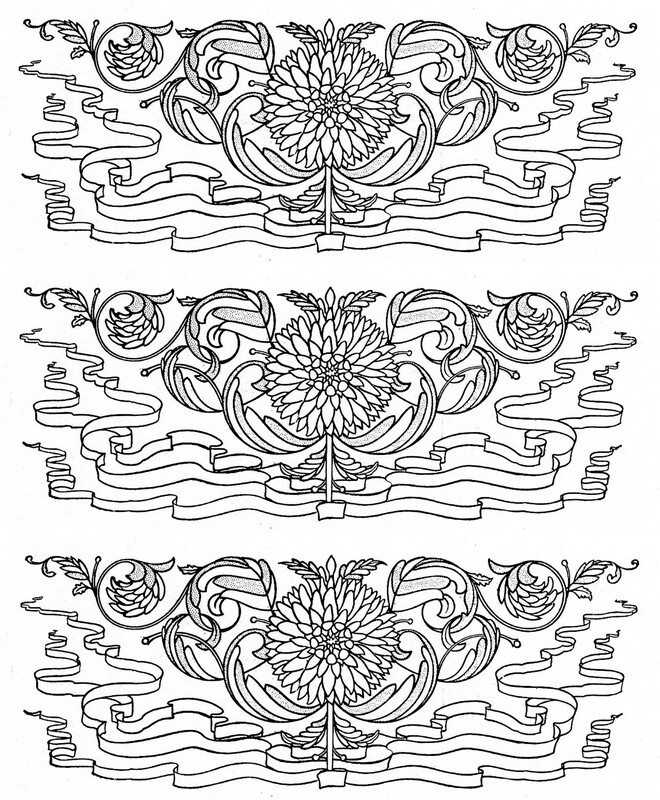 You can download the “extra” coloring panels from this post, and the whole coloring book to print at home here, or pick up a copy in E.H. Little Library – while finals are going on, we’ve been putting out copies of the coloring book in the lobby downstairs! 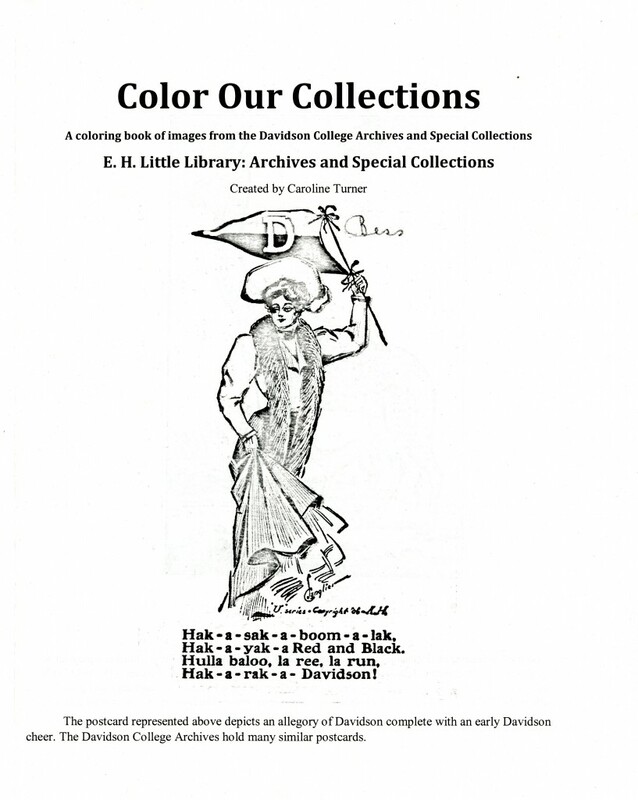 Every October is American Archives Month and North Carolina Archives Month, and here at the Davidson College Archives & Special Collections we’ve been celebrating the occasion in some way or another for the past seven years. However, for Archives Month 2015 we decided to really commit to Archives Month and experiment with some new methods of outreach and new collaborations. We’re a small shop (3 FTE), so I figured sharing our planning process and evaluating our activities at this halfway point between October 2015 and October 2016 might be useful for other archivists considering participating in Archives Month next year. The 2015 North Carolina Archives Month theme was “Celebrating Archives: North Carolina Arts, Crafts, and Music Traditions,” so our first step was to sit down and consider what materials we have related to arts, crafts, and music in North Carolina. That led to planning one of our earliest events in the month, Mandolin Madness on October 5th. 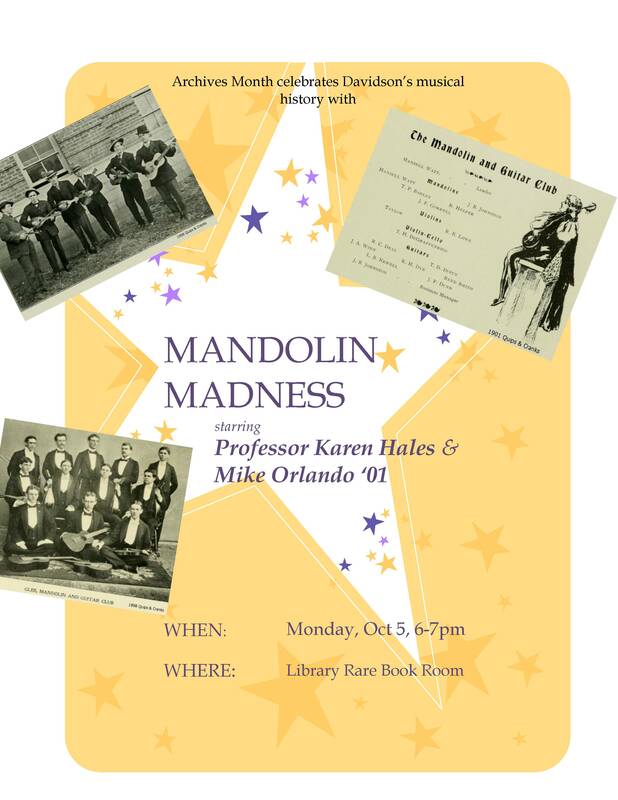 Mandolin Madness featured biology professor Dr. Karen Hales and Davidson alumnus Mike Orlando (Class of 2001) playing a mix of traditional bluegrass and more modern Southern songs in the Rare Book Room. The concert was preceded by a brief talk by College Archivist Jan Blodgett on the history of music at Davidson, and a small display of music and music-related materials from the archives. About 30 people attended, and we have been told by many that we need to repeat this event in the future. We don’t have very rich art collections in our archives, but we do have art galleries on campus, so I began conversations with the director of those galleries, Lia Newman, over the summer. Lia was completely on board to collaborate, and suggested that we have a month-long show on North Carolina artists in the college’s collections, curated by current students. That resulted in the Archives Month Art Show, curated by Kate Hall and Lee Summerell (both Class of 2016), which hung in the lobby of Chambers Building in October. Kate and Lee selected six works, focusing on (according to the panel text they wrote) “primarily on artists who lived, worked, or studied in North Carolina. North Carolina has a rich history of artistic excellence. In the 1930s through the 1950s, the Black Mountain College hosted many prominent figures in the development of Modern Art. Josef Albers served on the college’s faculty where he taught Robert Rauschenberg and helped shape his later artistic theory.” In addition to pieces by Albers and Rauschenberg, the show included works by long-time Davidson College art faculty member Herb Jackson (Class of 1967), William Ferris (Class of 1964), and two Charlotte-area artists, Ce Scott and Juan Logan. A panoramic shot of the lobby of Chambers during the Archives Month Art Show. Lia Newman also suggested that we host a panel on art and archives, which would tie-in well with the exhibition running in the art galleries from September 10th through October 25th – Regina José Galindo: Bearing Witness. I put together and moderated a panel entitled “Art, Archives & Documentation” that featured Lia Newman (Director and Curator of the Art Gallery), Dr. Alison Bory (Assistant Professor and Chair of the Dance Department), and Dr. Jan Blodgett (College Archivist). That panel, held in the art galleries on October 21st, preceded performances by three Charlotte-based performance artists (John W. Love, April Marten, and Jon Pritchard). Although attendance was only a handful of people, the conversation was rich and feedback from the small audience was very positive. 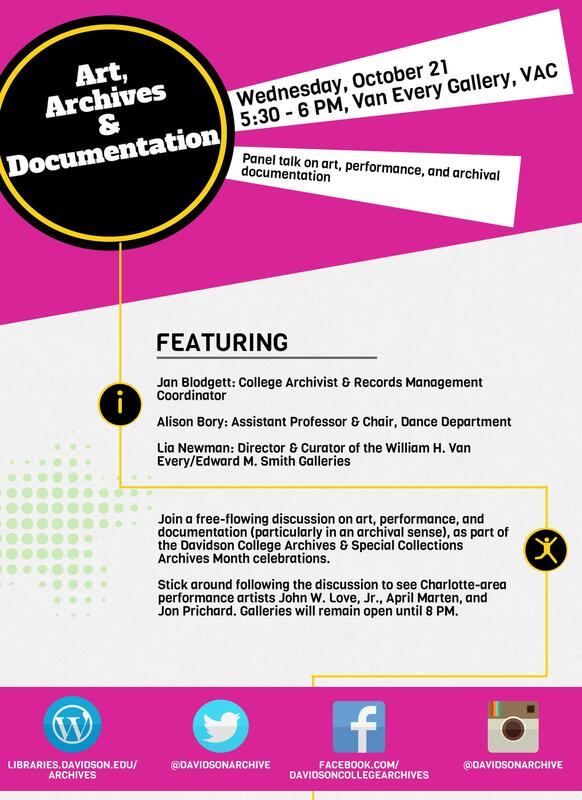 Flyer for Art, Archives & Documentation on October 21st. 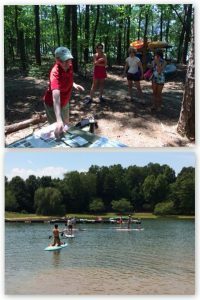 In addition to planning new outreach initiatives based on the theme for North Carolina Archives Month, we also experimented with two new ideas outside of the theme that met with varied degrees of success. 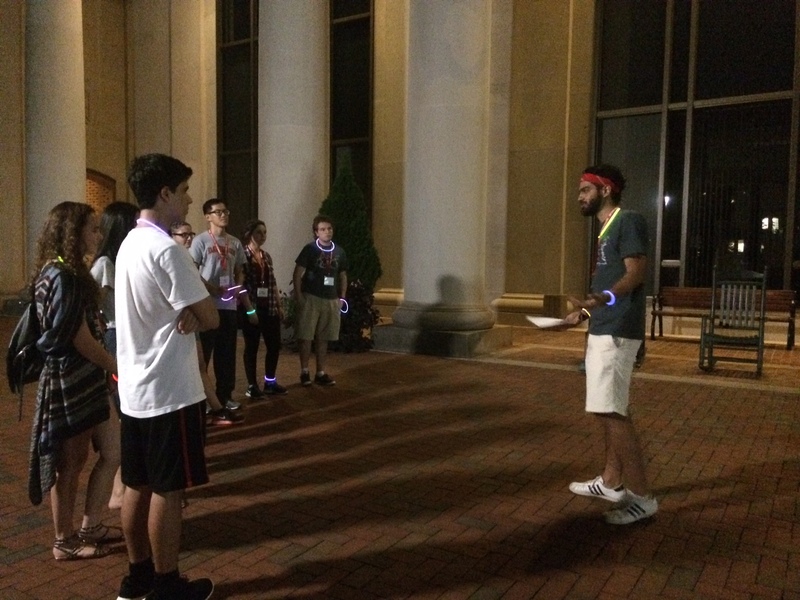 When I was training international student orientation leaders for a nighttime glow-in-the-dark campus history tour in August 2015, I kept on being told that the students wanted to hear more stories about Davidson College’s past. “Why haven’t we been told about this before?” one student demanded, when I explained the 1854 student rebellion. Their eagerness to learn more sparked an idea, and our department decided to plan a monthly archival storytime – Stories from the Archives kicked off on October 1st. 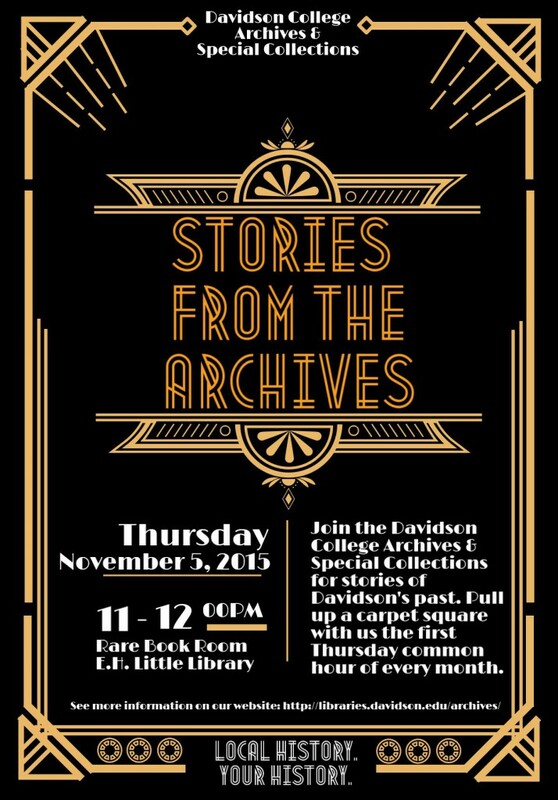 We aimed to hold the event the first Thursday of every month, with stories provided from Archives & Special Collections staff and students, faculty, and community members who had done research on Davidson’s past. The storytime atmosphere was enhanced by a donation of carpet squares for listeners to sit on, given by Drew Kromer (Class of 2019). Flyer for the second Stories from the Archives. While I still believe that Stories from the Archives was a good idea, we discontinued the series after three months due to low attendance. I’d love to relaunch it in the future, but we need to re-tool how we advertise and plan the event, and potentially hold it once or twice a year instead of monthly. We also chose to launch a departmental Instagram account during Archives Month, which has been much more successful. We now have received a number of reference questions based on Instagram posts, and are able to reach current students and alumni in a new way. This semester, the Instagram account garnered a new kind of student attention – after a class visit to the Archives & Special Collections, students in Dr. Amy Kohout’s ENV 340: Animal, Vegetable, Mineral asked to take over our account for a week, in order to promote their class pop-up exhibit. 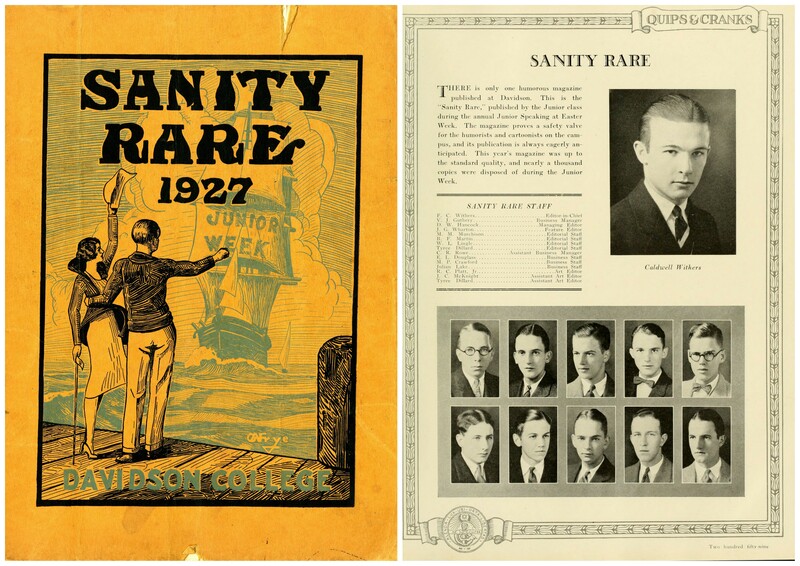 ENV 340’s posts are currently populating the Davidson Archives Instagram until May 3rd! While planning new events and new forms of outreach, we also stuck with some tried and true methods – we held Ghosts in the Library for the 7th year in a row, participated in #AskAnArchivist Day on October 1st, and I wrote a blog about a seminal figure in the Music department’s history, James Christian Phofl. The blog also served as a collaboration of sorts – I ran my early drafts by music professor Dr. Neil Lerner, who had done research on Pfohl before and provided helpful tips. Ghosts in the Library, an annual night of telling of ghost stories in the Rare Book Room, had its usual excellent attendance – roughly 30 people showed up to hear ghoulish tales. Throw things at the wall and see what works: Several of our initiatives were new ones, and turned out quite well – Mandolin Madness, the Archives Month Art Show, and the Instagram account all had excellent returns on our investment of time. Don’t be afraid of failure: Stories from the Archives and Art, Archives & Documentation both suffered from low turnouts. 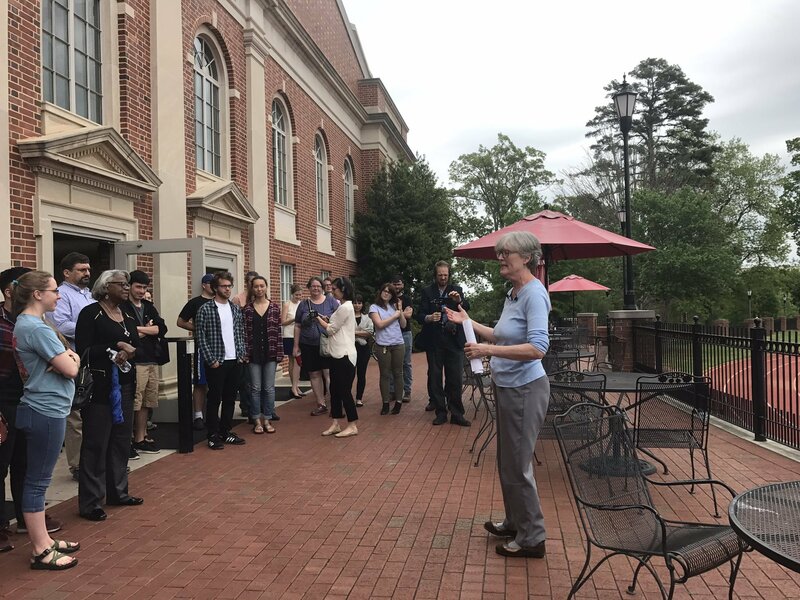 While both events were enjoyed by those who attended, we need to evaluate if the problem with these events was that the concepts didn’t appeal to the Davidson audience, or whether they could be advertised better. 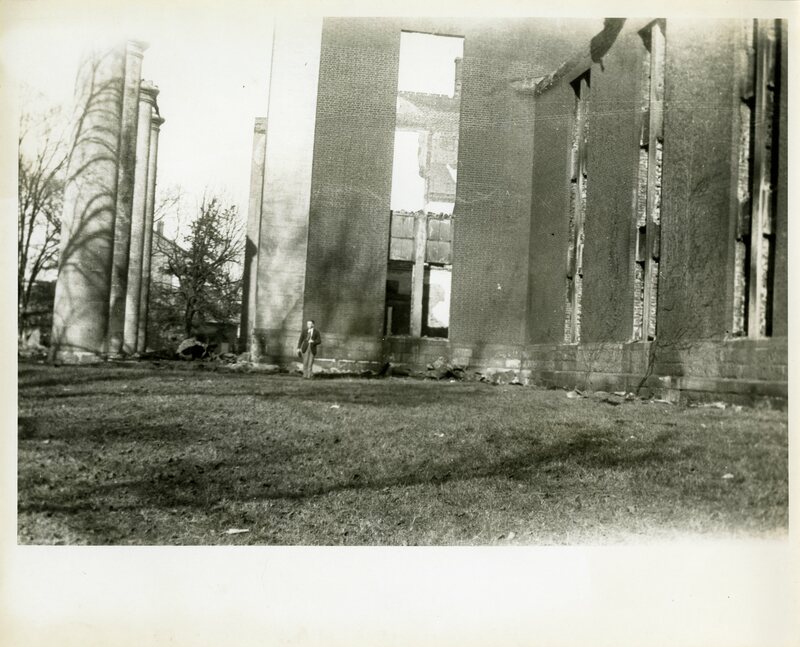 Plan well in advance: Some of our attendance pitfalls may have been mitigated if we had planned better – perhaps flyering in the dorms, or making announcements to classes who visited the Archives & Special Collections in the weeks prior. We also potentially could have sought funding for food, which can be a draw – none of our events or initiatives had any cost other than staff time. Reach out to new people or groups for collaborations. One of my favorite parts of Archives Month 2015 was working with the art galleries – we hadn’t previously done much collaboration with them, but the theme for North Carolina Archives Month gave me a good reason to seek out a partnership with the director. Archives Month can be a great foot in the door for folks you want to work with but haven’t had a chance to yet. You don’t have to do everything during Archives Month: In some ways, we bit off more than we could chew during Archives Month 2015 – planning four events, coordinating one art show, writing one Archives Month-themed blog, participating in #AskAnArchivist Day, and launching a new social media account was a lot to take on while we all continued our regular duties. Some of our most successful outreach events this academic year actually took place outside of Archives Month (such as this month’s Race At Davidson panel, a collaboration between the Archives and the Tau Omicron chapter of Alpha Phi Alpha), and sometimes it will make more sense to plan an outreach initiative to align with an institutional anniversary or the availability of collaborators. October is Archives Month, but any and every month can be archives outreach month. When we began our Recipes from the Archives blog series a year ago, the Archives & Special Collections team had a few aims: we wanted to experiment with a new way of making our archival collections accessible and interesting, and we (well, mostly me) wanted to learn more about historic cooking and connect with small town southern culture. But it wasn’t lost on us that the vast majority of the recipes in our collections come from women – in fact, shining a spotlight on the women of Davidson was an explicit goal. 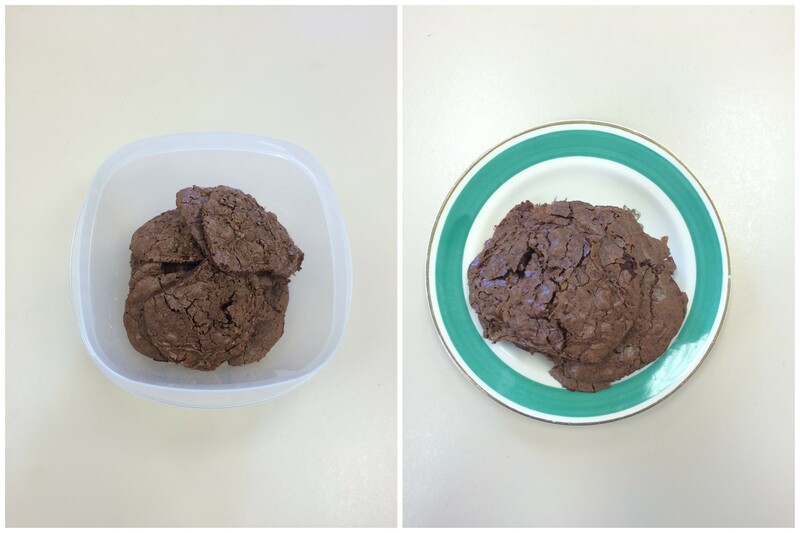 March is Women’s History Month, so it’s an excellent time to reflect on how our archival cooking experiment has been going since the first entry in March 2015 (Ice Box Pudding #1), and share some of the research challenges we’ve encountered. For this week’s recipe, I revisited the 1965 The Village Cook Book: Recipes from the P.T.A. Pantry, Davidson, North Carolina and selected Elizabeth Proctor’s “Beacon Hill Cookies.” The members of Davidson’s Parent-Teacher Association gathered recipes from women in the town and compiled a cookbook as a fundraiser for an American flag for the auditorium and a recorder and filmstrips for the library of Davidson Elementary School. 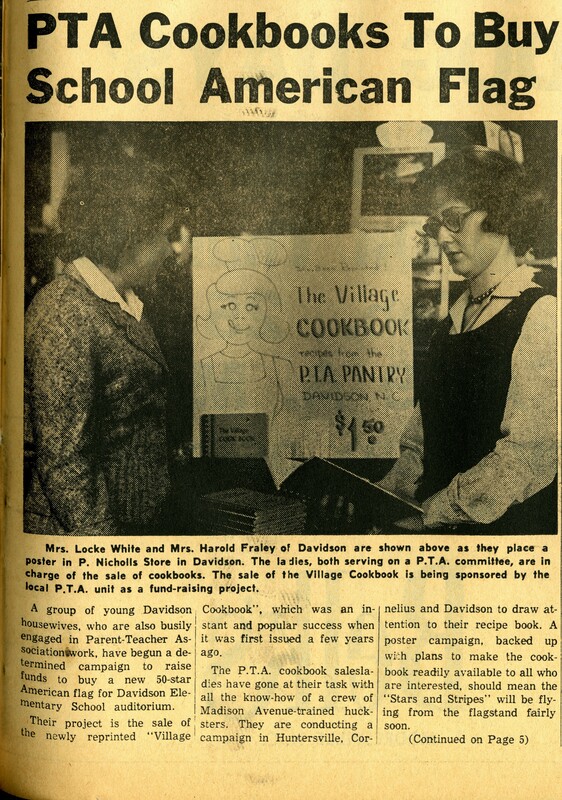 “PTA Cookbooks To Buy School American Flag,” from the February 25, 1965 issue of the Mecklenburg Gazette. The PTA’s Village Cookbook was organized by and contributed to solely by women, and one of the challenges our team faces when selecting recipes is figuring out who each individual woman was. If she was married, the recipe-contributor is generally referred to by her husband’s last name and first and middle initials. Many of the women active in town organizations that compiled cookbooks were wives of faculty members, and their records are the easiest to uncover – we have employment records and reference files for all past faculty members, which often includes information about and pictures of the faculty member’s spouse. 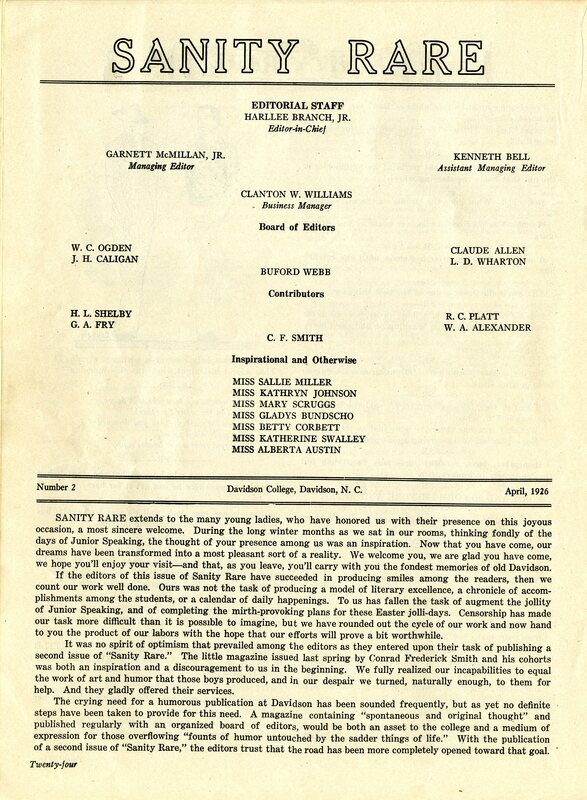 We have other sources to gather further information about spouses of faculty members, as well as women living in the town who had no employment connection to Davidson College – the published histories of the town and college (Cornelia Shaw’s Davidson College, Mary Beaty’s A History of Davidson College, and Jan Blodgett and Ralph Levering’s One Town, Many Voices) often includes stories about women whose names crop up in our cookbooks, and if the individual was active in town clubs or societies, we can often learn more about her through the manuscript records we have from the town Civic Club, Senior Center, or one of the town book clubs. In the case of this week’s recipe-submitter, Elizabeth Proctor, information was harder to find. The Proctor family collection consists of two letters, one to Elizabeth from her mother, and one from her brother G.D. Proctor to their mother. There is not a lot of information about the family – we know that members of the family lived on South Main Street from roughly 1919 until at least 1965. Elizabeth’s name did not come up in any of my searches through town club rosters, or in any of the Davidson histories. G.D. Proctor’s letter to his mother in Davidson, October 1941. 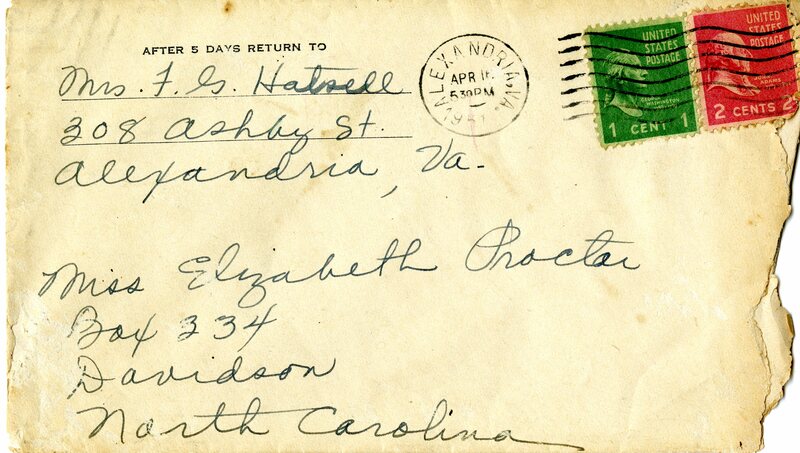 The other letter in our collection is from Mrs. Proctor to Elizabeth, sent April 16, 1951 from Alexandria, Virginia. 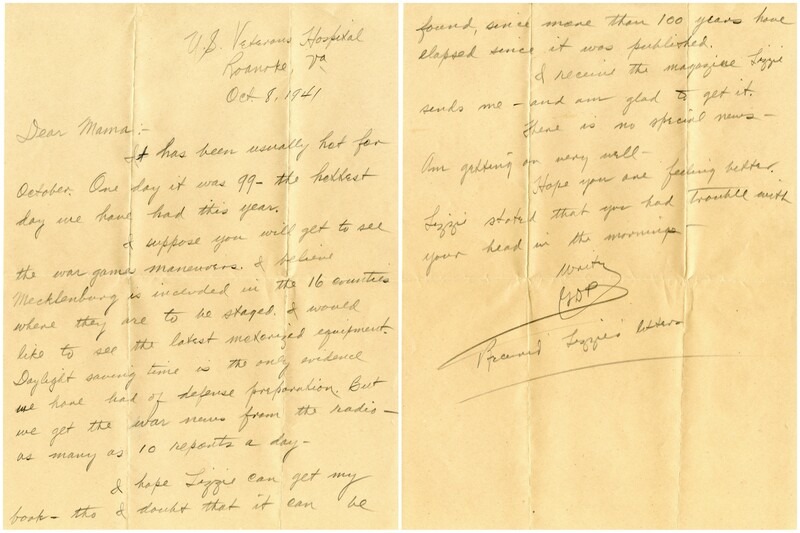 The contents of the letter concerned buying clothing for Elizabeth, and Elizabeth’s health – her mother mentions a fever and the cold weather possibly being to blame. The envelope from the April 1951 letter from Mrs. Proctor to Elizabeth – note the P.O. box, as going to the town post office to collect mail has remained a tradition in Davidson today. Outside of these letters, we know very little about the Proctor family. The 1920 census tells us that Elizabeth’s parent’s were Adolphus R. and Phinny R., and her father worked as a carpenter. The rest of the family consisted of her older brother Shirley R., and younger siblings Cynthia E., Dewy G. (likely the G.D.P. from the letter in our collections), Janice M., Sidney E., and Helen C. All family members were listed as being born in North Carolina, and Elizabeth and Cynthia both gave their occupations as teachers at the “graded school.” By 1930, the census only records Adolphus, Phinny, Elizabeth, Janice, and Sidney as living in Davidson, and Elizabeth no longer listed a profession. Elizabeth was 32 in 1930, making her probable birth year 1898. Other news that made it into town/college newspapers and notes from Mary Beaty’s A History of Davidson College: Sidney Proctor made the fifth grade honor roll in 1919; in November 1922, Elizabeth’s younger sister Helen participated in a Girl Scouts entertainment; in March 1923 Elizabeth visited “friends and relatives in Denver” (likely Denver, North Carolina, from The Davidsonian); and in 1926 Helen Proctor attended “Eastern Carolina Training School at Greenville, SC” (Also from The Davidsonian, possibly referring to the forerunner of East Carolina University, the East Carolina Teachers Training School in Greenville, NC). Records of the Davidson College Presbyterian Church list Elizabeth and a Mrs. G.D. Proctor as members. 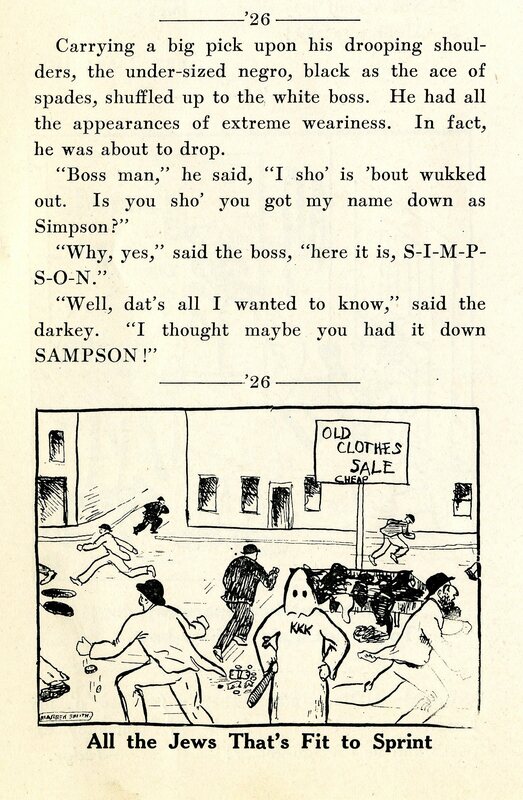 We also came across references to the family phone number through copies of Southern Bell Telephone Company records. Miss Elizabeth Proctor’s recipe for Beacon Hill Cookies. 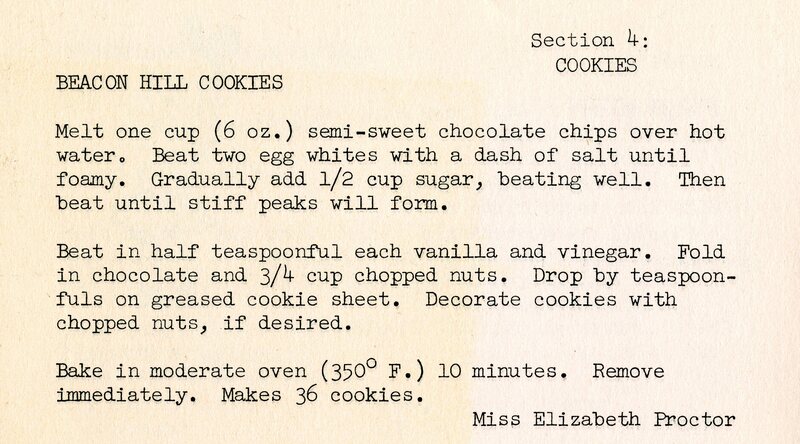 I chose to make Elizabeth Proctor’s recipe for Beacon Hill Cookies from the PTA cookbook because I was intrigued by the title of the cookie – I used to live in Boston, and worked in Beacon Hill for nearly two years. Unfortunately, I ran into similar dead ends when exploring the history of Beacon Hill Cookies as when our team was investigating the Proctor family. It was difficult to track down references to the recipe and its history, although my coworker Sharon Byrd did find a mention of Nabisco producing a cookie called “Beacon Hill” on the Cambridge Historical Society’s “The History of Candy Making in Cambridge” page. It’s likely that the Nabisco Beacon Hill Cookies are the same or similar to the recipe that Elizabeth Proctor was making in Davidson. My Beacon Hill Cookies, in a Tupperware and on a plate. Beacon Hill Cookies are very easy to make – the meringue style cookies have very few ingredients and a short baking time. I used walnuts as the chopped nuts in my version, since Elizabeth Proctor’s recipe doesn’t specify a type of nut. My cookies turned out very flat, so I think I didn’t beat the egg white-sugar mixture for a long enough period of time. However, despite being flat and misshapen, the Beacon Hill Cookies do taste very good! I hope that sharing our research process and the lack of information about some of the townswomen in Davidson illustrated a point – writing women’s history and telling women’s stories often requires reading against the grain and looking for references to women and their lives in unexpected places. While the Davidson College Archives & Special Collections often has rich materials on local women, particularly spouses of faculty members who were active in the local book clubs, finding out information about women of color, unmarried women, and women not active in town organizations can be difficult or impossible. For all our work digging up references to the Proctor family, we still don’t know when Elizabeth Proctor passed away, or any details of her life before her family moved to Davidson (circa 1919). 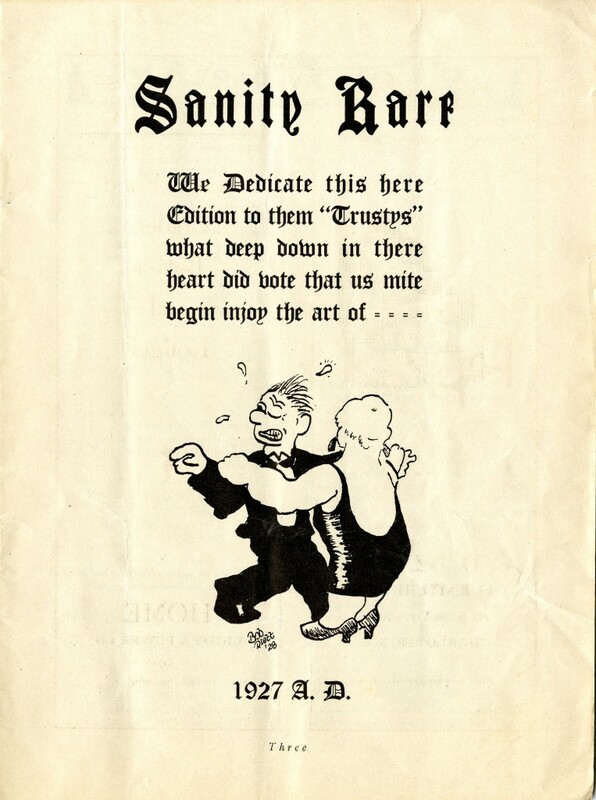 The Recipes from the Archives blog series has certainly served as a way for me to learn more about women in Davidson from the 1920s until the 1990s, and to learn more about how food was made during that time period, and I hope it’s done the same for our readers! 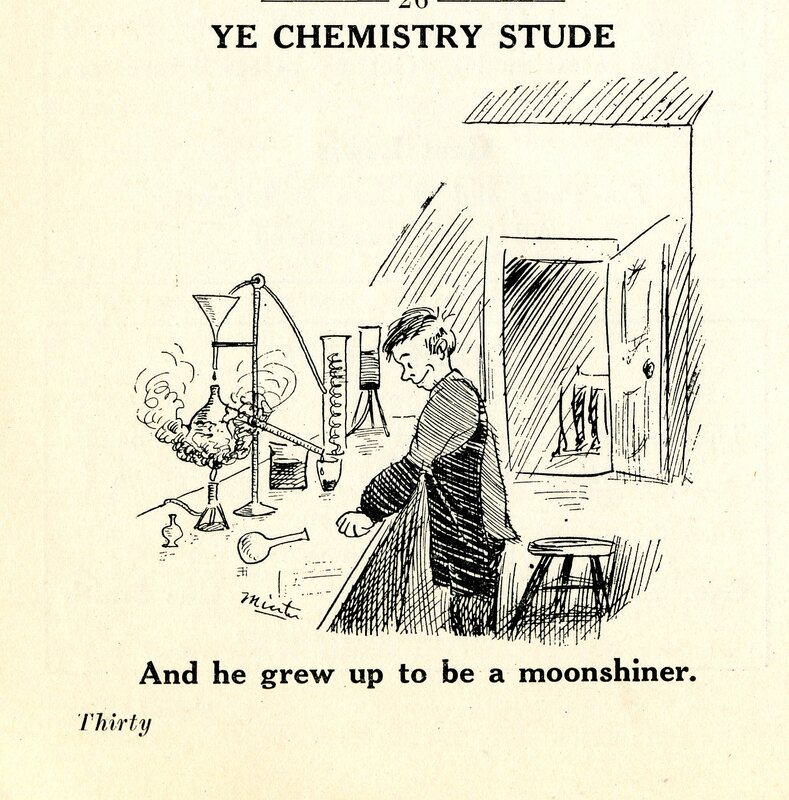 The Davidson College Archives & Special Collections has received news that definitely added to our holiday cheer – we’ve had three grant applications successfully funded! Credit: National Endowment for the Humanities (NEH). 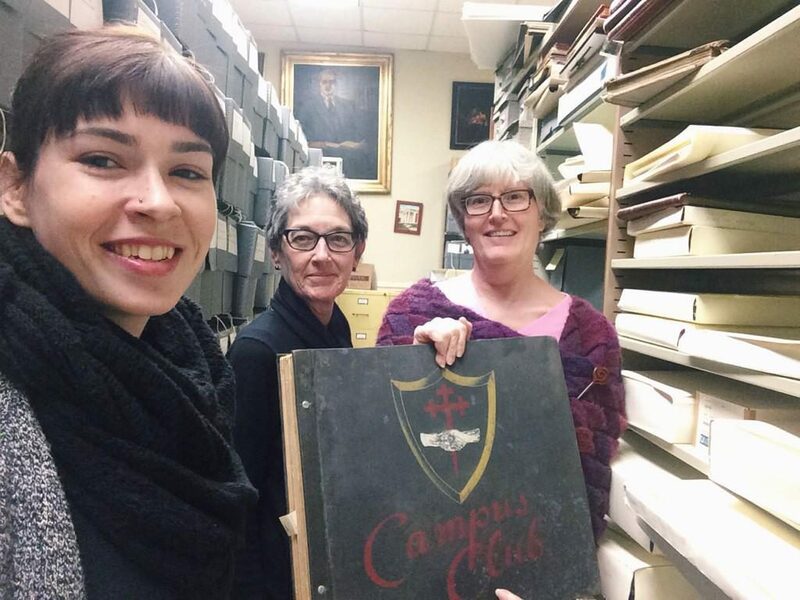 The second NEH grant project is entitled “Davidson College Archives and Special Collections Comprehensive Preservation Plans.” This project will allow the Archives & Special Collections to engage a preservation consultant from the Northeast Document Conservation Center to conduct assessments of our physical and digital holdings, assisting us in creating our first formal preservation plans. Our holdings include 58 born-digital films, 3,500 digitized photographs, 20 born-digital audio files, dozens of digitized manuscript letters, diaries, and college-related documents, 8 digitized special collections, 30,000 cataloged print photographs, 950 manuscript and archival collections, 700 artifacts, a 1,000-item audiovisual media collection, and 2,000 rare book collection items. Our collections are heavily used in course-related pedagogy, special projects, by various departments across the college (in particular Sports Information, College Relations, Alumni Relations, and College Communications), and to answer reference questions from across the college and beyond. I will be serving as the project director for this grant, and as we increasingly collaborate on digital projects and collect more student works and complex digital objects, I think it’s incredibly important to have formal plans to preserve all of our diverse collections so that we can continue to share college and local history for years to come. 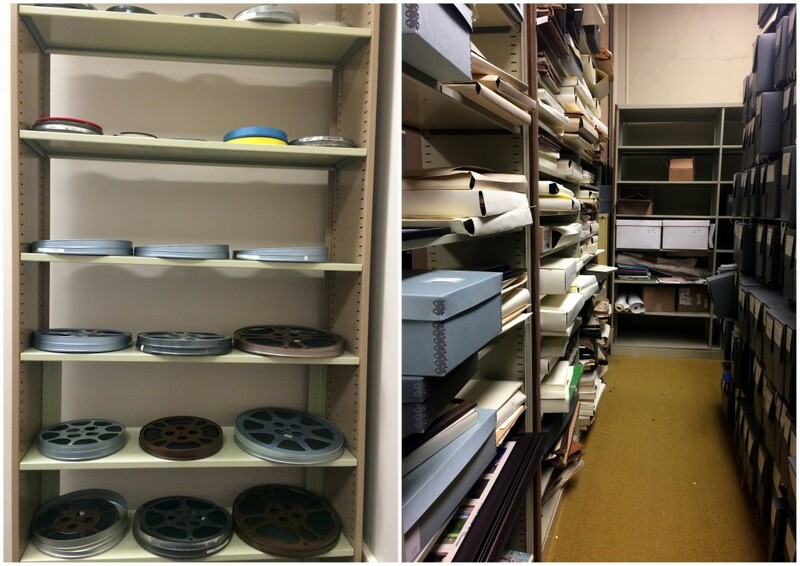 Two collections we know will benefit from a preservation analysis – our film collection (left) and scrapbook collections (right, on the shelves on the left side). As you can see, 2016 and 2017 will be very busy years for the Davidson College Archives & Special Collections! We’re looking forward to the new year and all of the new initiatives that come with it – watch this space for updates on these three grant-funded projects! A few weeks ago, Davidson College’s new International Student Advisor, Bea Cornett, got in touch with the Archives & Special Collections – her recent new employee orientation campus history tour had sparked an idea: what about spicing up new international student pre-orientation week with a night-time glow-in-the-dark history tour? We had a quick turnaround – roughly two weeks from the conception of the idea until it was carried out. Jan Blodgett (College Archivist & Records Management Coordinator) and I got to work, brainstorming stories from the archives that could be spooky, creepy, or weird enough for a glow-in-the-dark tour. We compiled a list of fifteen tales, pulled archival material related to each, and scanned the material to make a study guide. 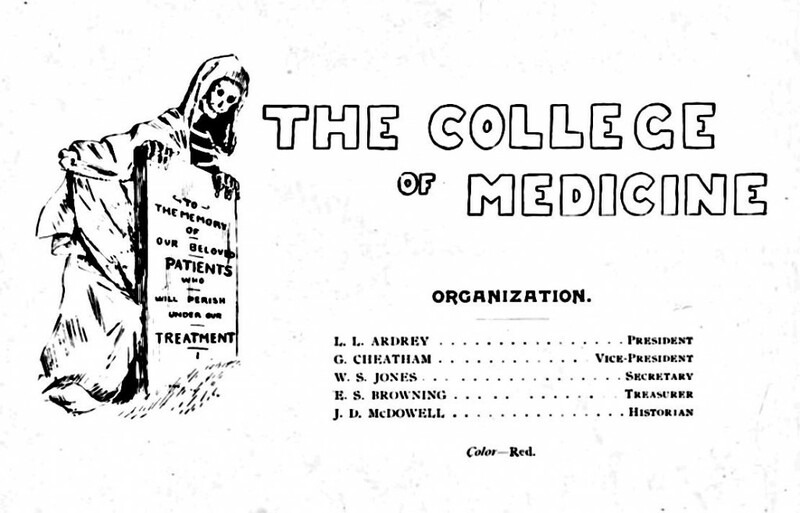 Some of stories we selected: Davidson’s first virtual student, Bill Edwards; the Ghost of Old Chambers; finding skulls and skeletons in the columns of Old Chambers and early x-rays on campus; several tales of freshmen hazing of days gone by; the Freshmen Riot of 1903; the December 21, 1854 student rebellion; and the history of some of the oldest buildings on campus – Eumenean and Philanthropic Halls, the Carolina Inn, and Oak and Elm Rows. Last Friday afternoon I met with the International Orientation Leaders, the group of students who would help acclimate our new freshmen to campus. Bea assigned each student a stop along the tour, and I told short versions of each story we’d selected. We all discussed the archival material and how each Orientation Leader would make their story their own. 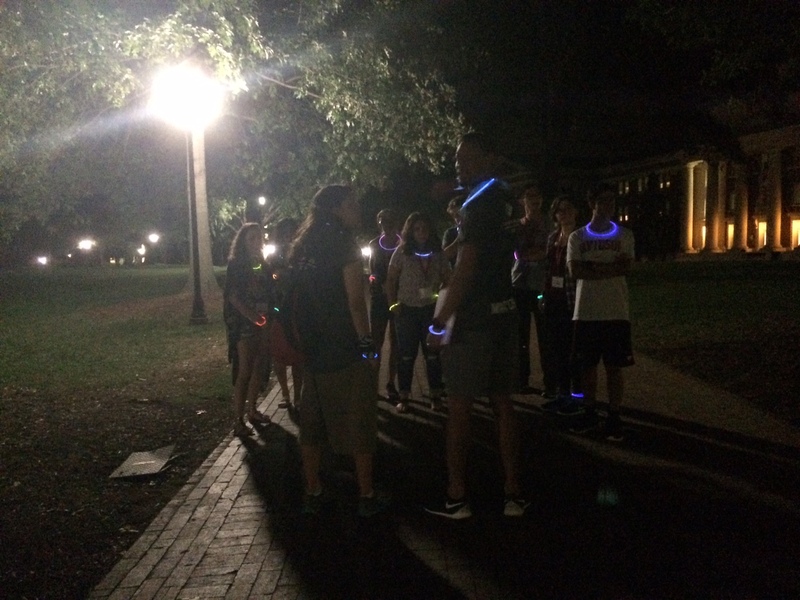 That following Sunday evening, fellow library staff Cara Evanson, Sarah Crissinger, and I led small groups of new international students around campus, stopping at each glow-stick-lit Orientation Leader to hear tales of Davidson’s past. Orientation Leader Santiago Navia (Class of 2017) tells a group of new internationals students the tale of Bill Edwards in front of E.H. Little Library. Hannah Heartfield (Class of 2016) tells the new internationals students about the long history of tree planting on campus, while Maria Jose Arias (Class of 2017) helps guide the group around campus. Joscar Matos (Class of 2016) regales the new students with tales of skulls found in the columns of Old Chambers and the stealing of a corpse finger for one of the earliest x-rays. The Ghost of Old Chambers comes alive when our Jason Oteng-Nyame (Class of 2017) got the classic spooky story treatment of a flashlight under the chin – or in this case, an iPhone flashlight (held by Maria Jose Arias, Class of 2017). 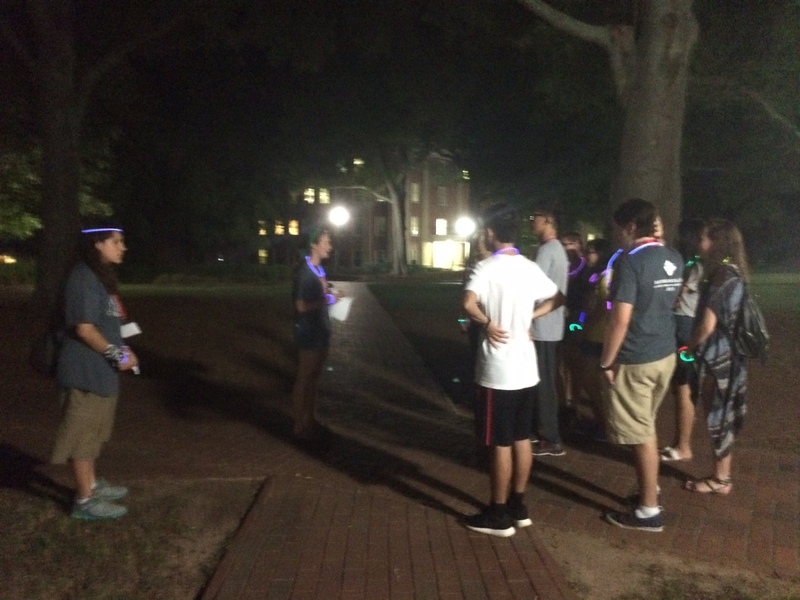 The first Glow-in-the-Dark Tour was a success – new freshmen were spooked and entertained, and tour-givers and tour-takers were united in wanting to hear even more tales from the Davidson College Archives & Special Collections. 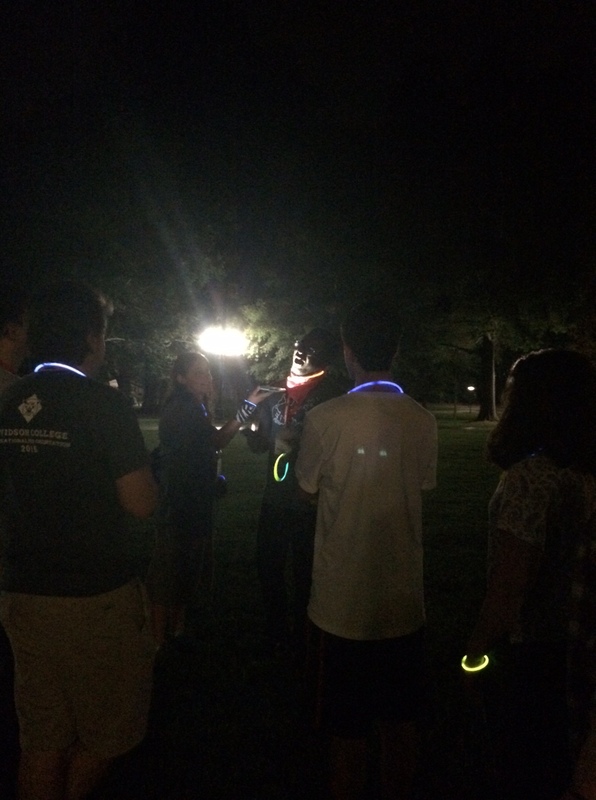 We can’t wait for next year’s iteration of the international student Glow-in-the-Dark tour! Earlier this month, a mysterious parcel appeared in the Archives & Special Collections mailbox. The note that accompanied our mystery parcel, from Hendersonville’s Shelley and Son Books. We’re not sure what the award on the table is, but it’s being presented by then College President D. Grier Martin (standing, center) and Professor of Spanish James Young Causey (standing, right). 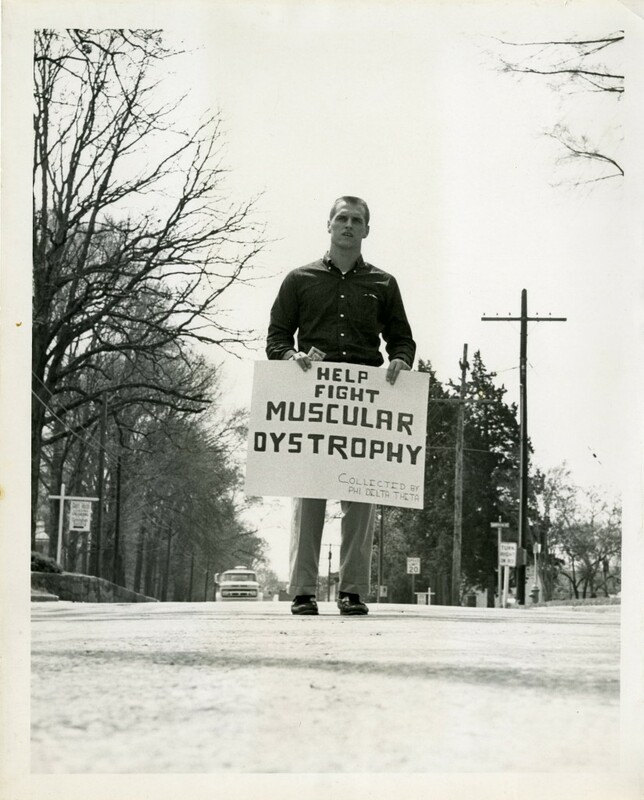 Alex Gibbs (Class of 1963) raises money for muscular dystrophy on behalf Phi Delta Theta in the middle of Main Street. Gibbs went on to a long football coaching career, most notably for the Denver Broncos. 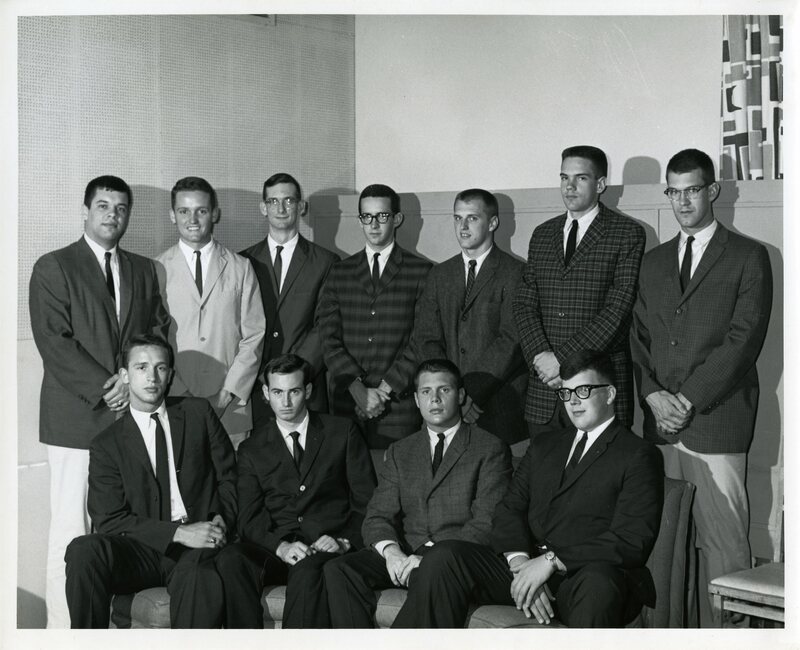 Possibly a meeting of Interfraternity Council in 1963 – clockwise from top row, left (all are Class of 1963, and presidents of their respective fraternities): Gene Wells, Lawrence Kimbrough, Bernard Swope, unknown, Alex Gibbs, Bill Clingman, Jamie Long, John Oehler, Lewis Martin, Bud Robinson, and Steve Butler. 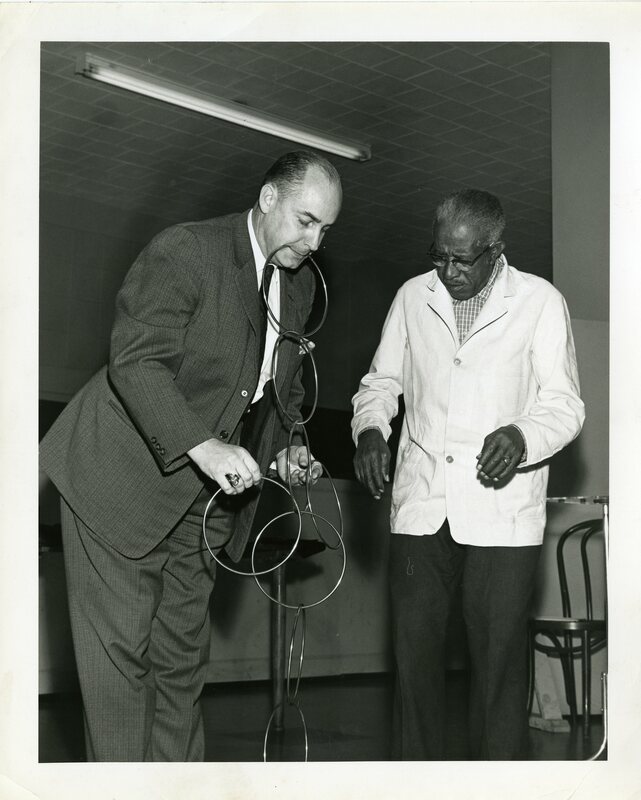 C. Shaw Smith (Class of 1939, and Director of the College Union for 31 years) performs one of his well-known magic tricks, with assistance from an unidentified man. The Smith 900 Room in Alvarez College Union bears Smith’s name. Another group shot, possibly from a college staff party in 1961. 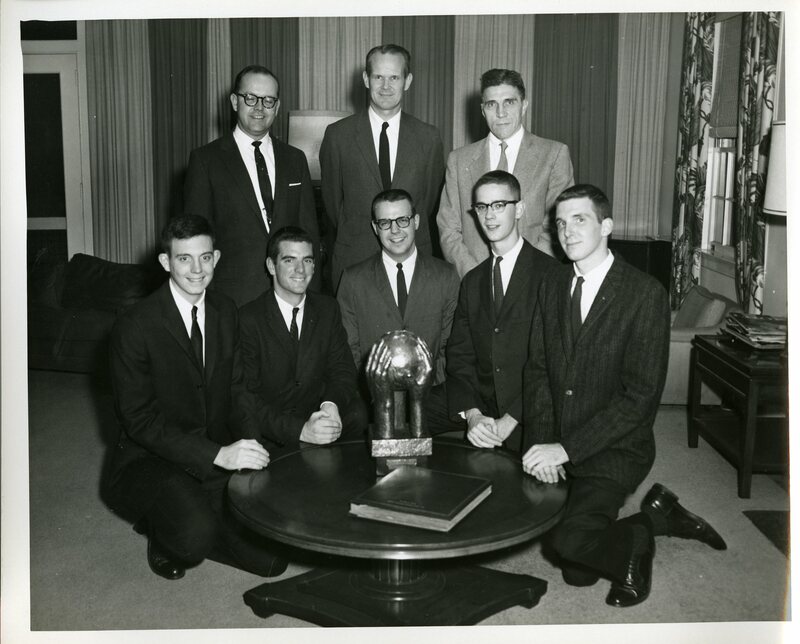 Third from the left, top row is future College President John Wells Kuykendall (Class of 1959, in his role as Assistant Director of Alumni and Public Relations). 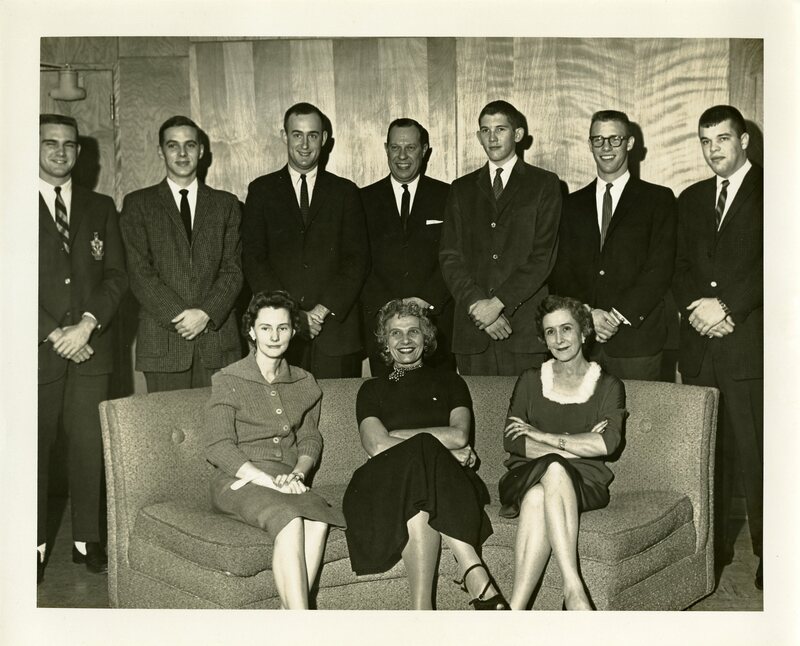 Also pictured are John R. Horton (to the right of Kuykendall, Class of 1938, Director of Alumni and Public Relations), and Nancy Blackwell (seated, far left – the Blackwell Alumni House is named for Nancy, who worked at Davidson for 54 years). 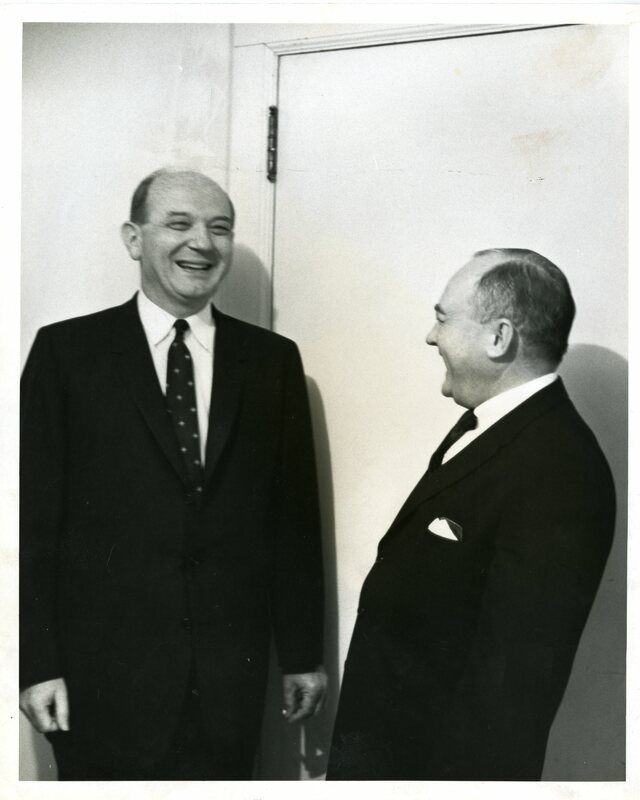 Dean Rusk (left, Class of 1931) laughs with an unidentified man. Davidson’s international studies program is named for Rusk. 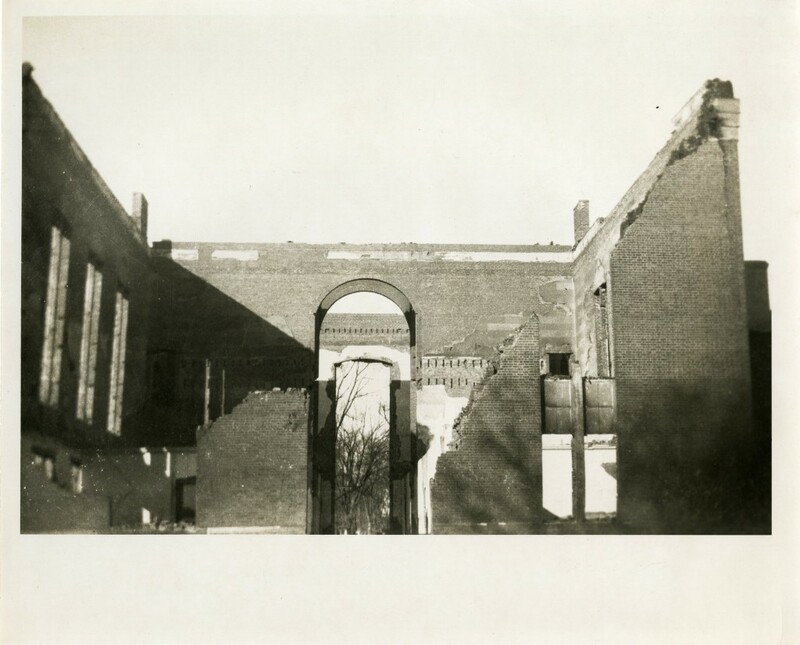 The fire of November 21, 1921 completely destroyed the original Chambers Building (“Old Chambers”), which had been completed in 1860. Another view of the gutted original Chambers Building. The “Ghost of Old Chambers” can sometimes be seen on particularly dry days. 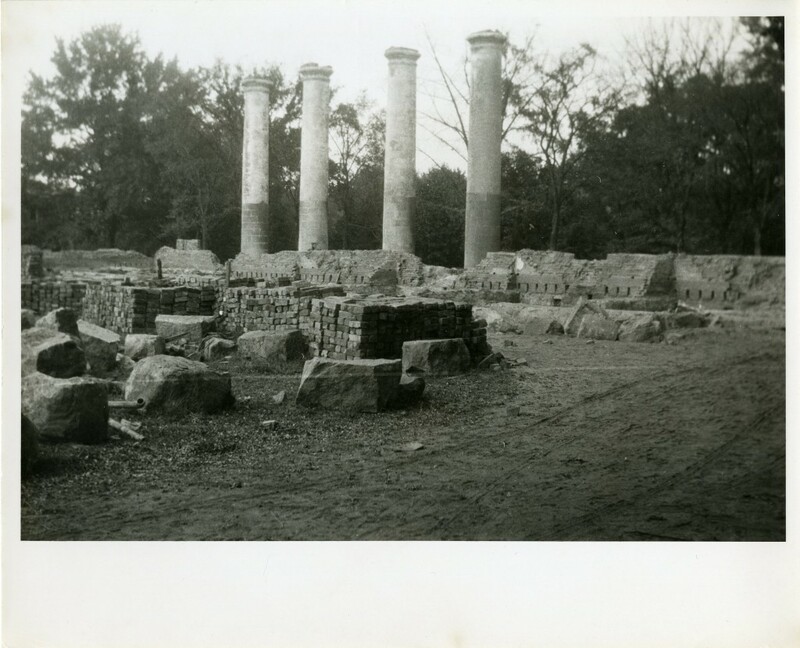 The columns from Old Chambers remained standing until 1929. I hope you enjoyed our mysterious photograph delivery as much as we did! 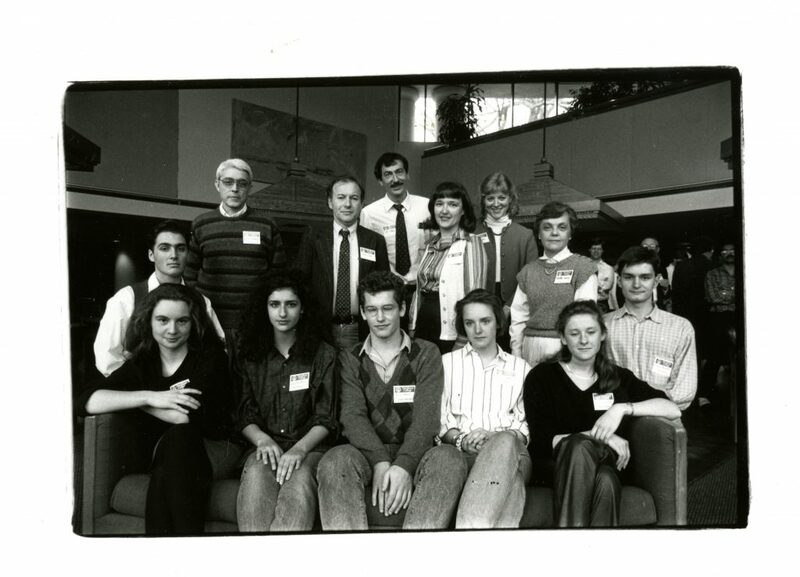 If you can help identify any of the people in these images, please contact the College Archives.